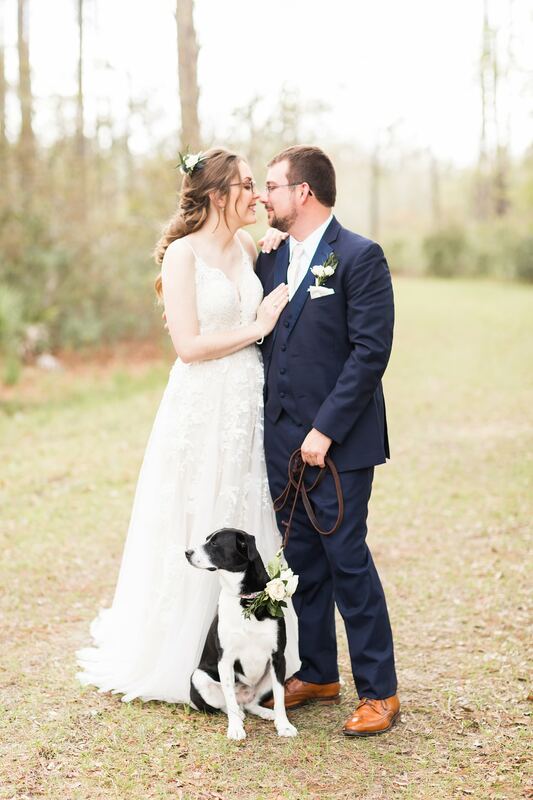 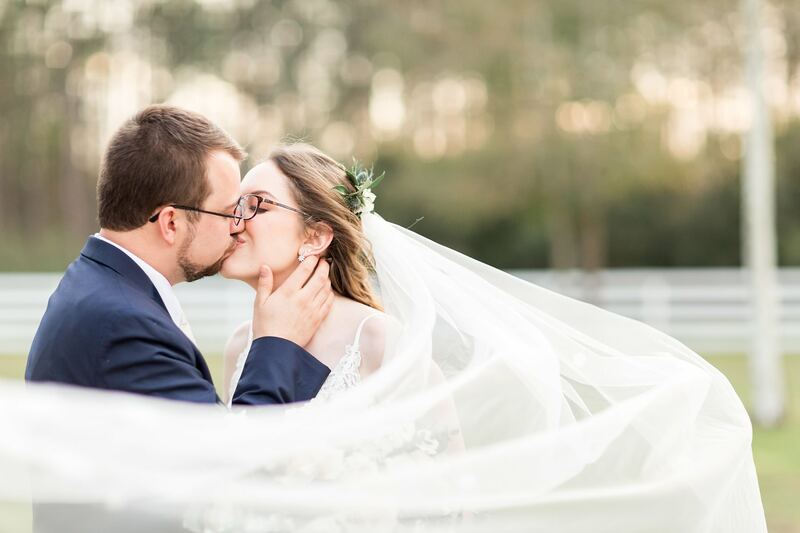 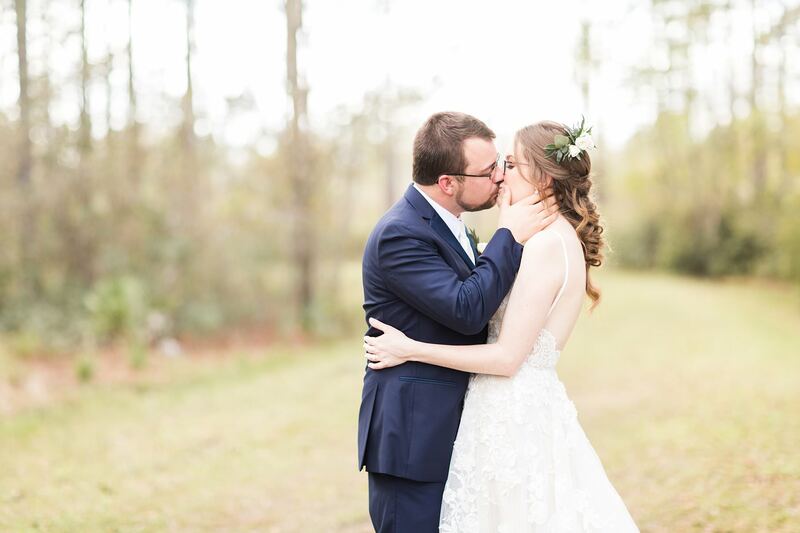 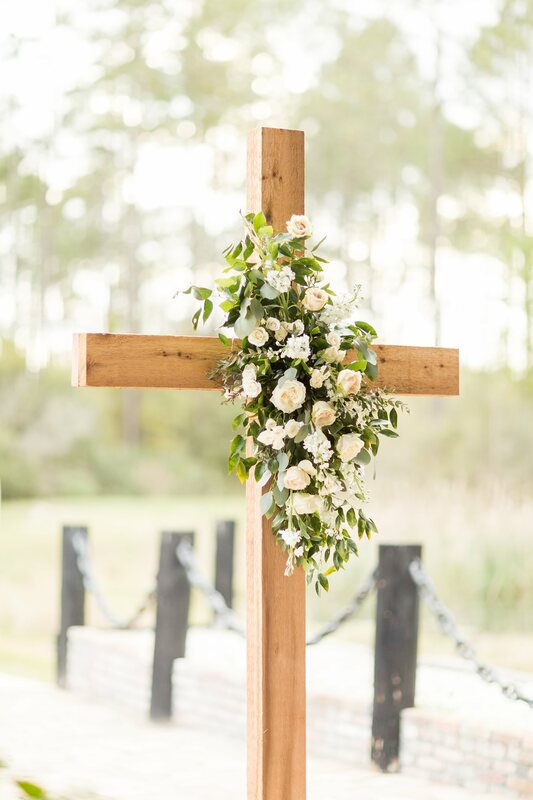 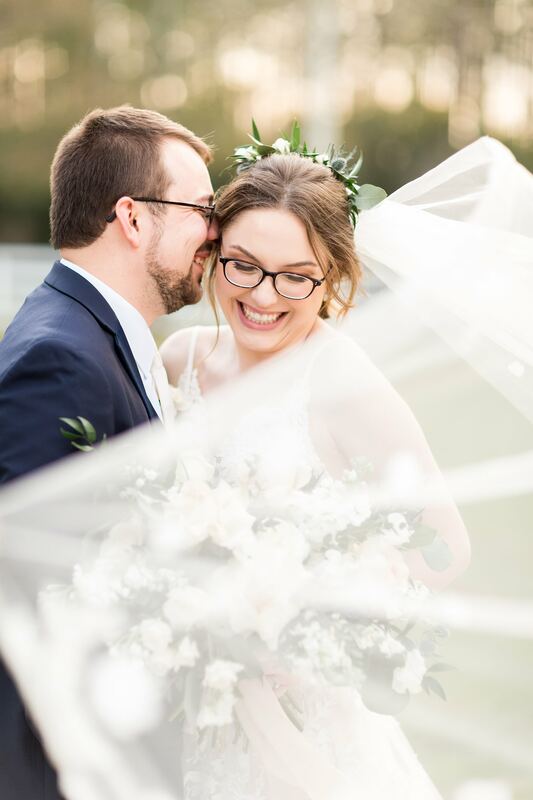 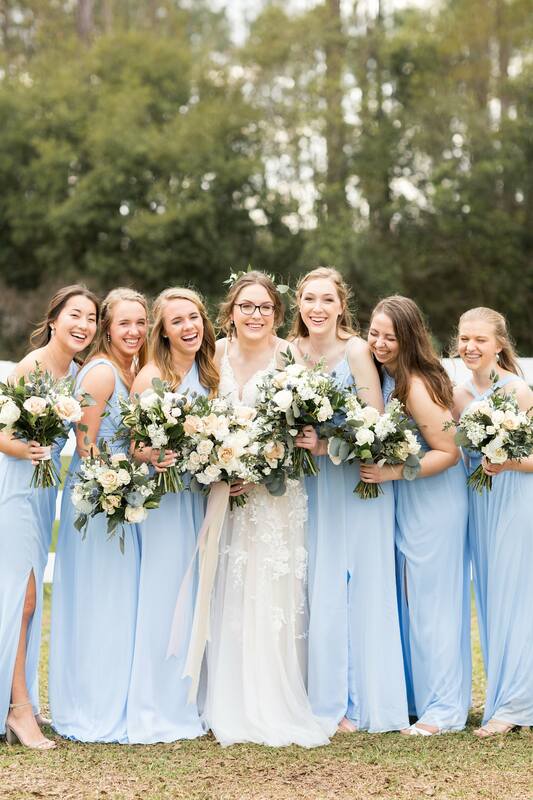 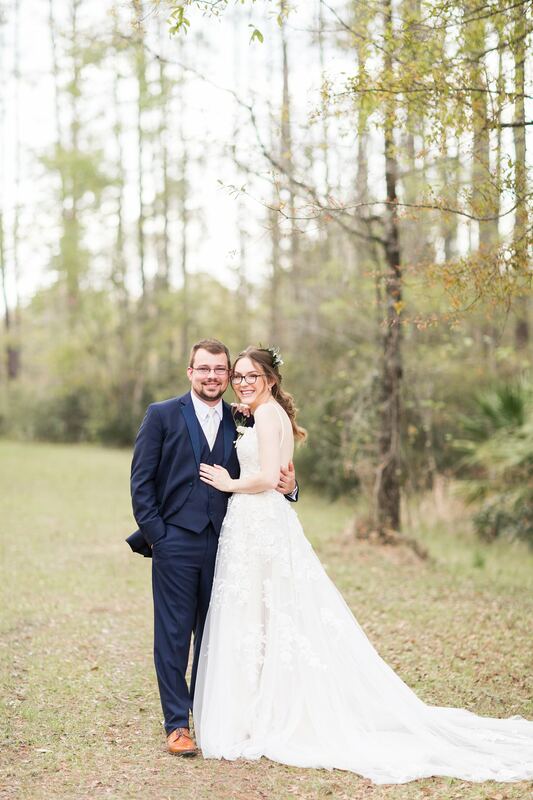 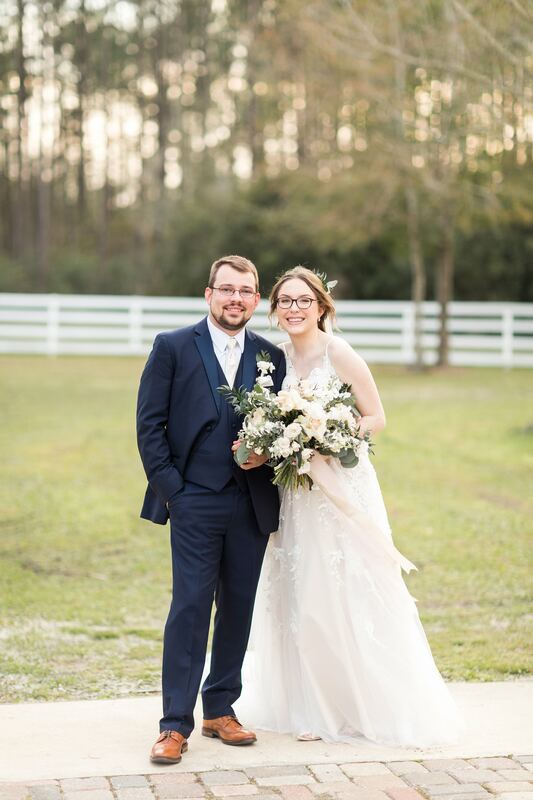 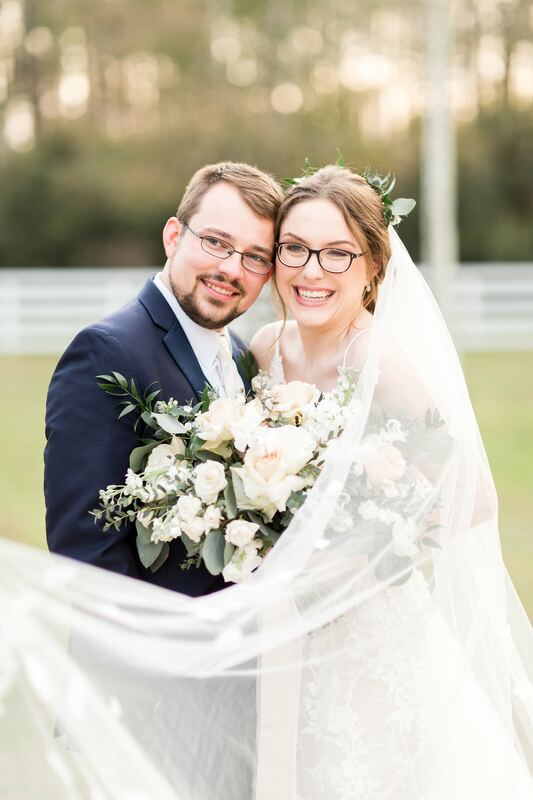 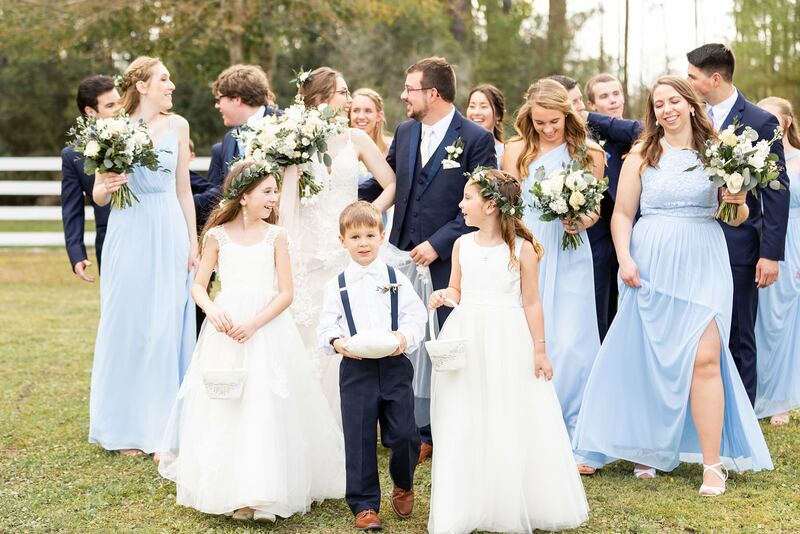 Matt + Laura’s romantic Jacksonville wedding day was not only a celebration of their marriage, but a celebration of family. 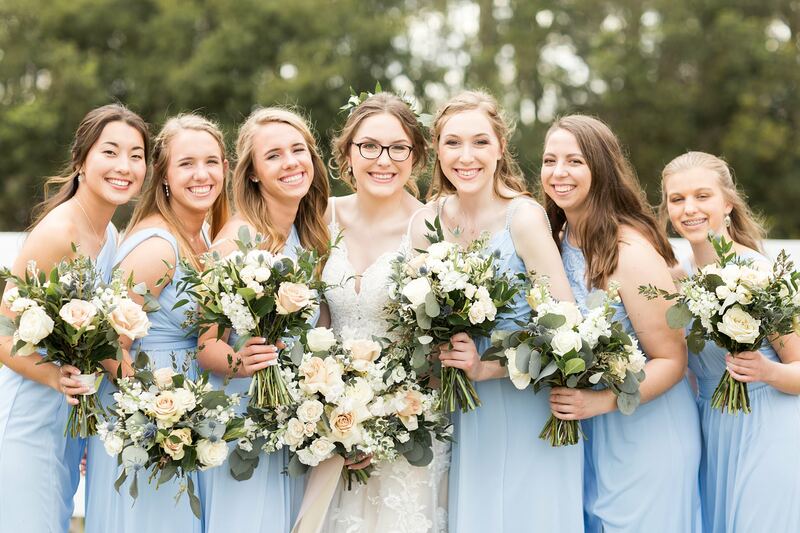 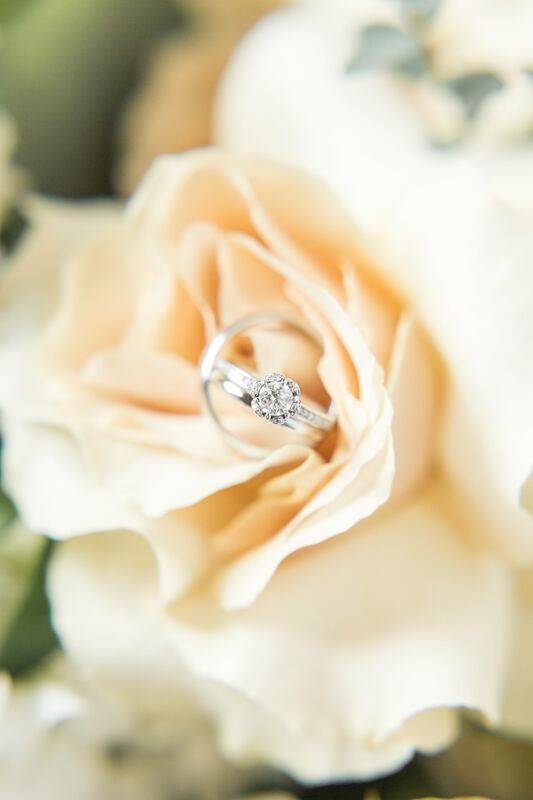 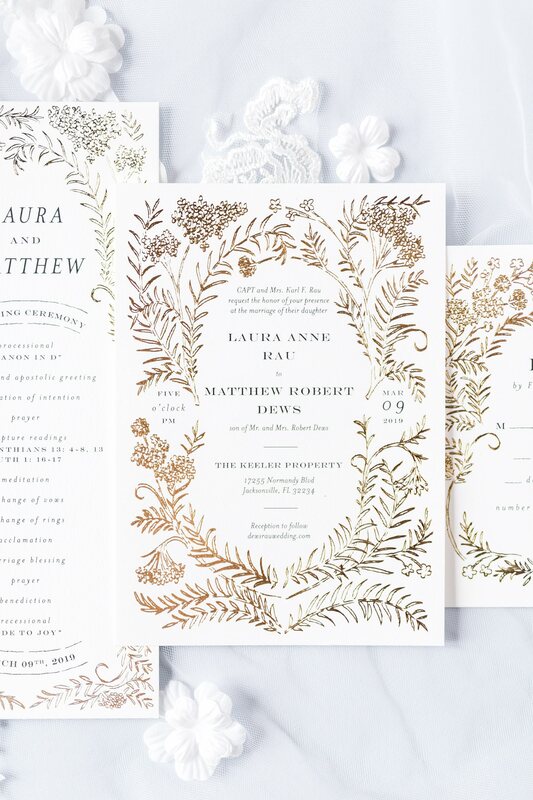 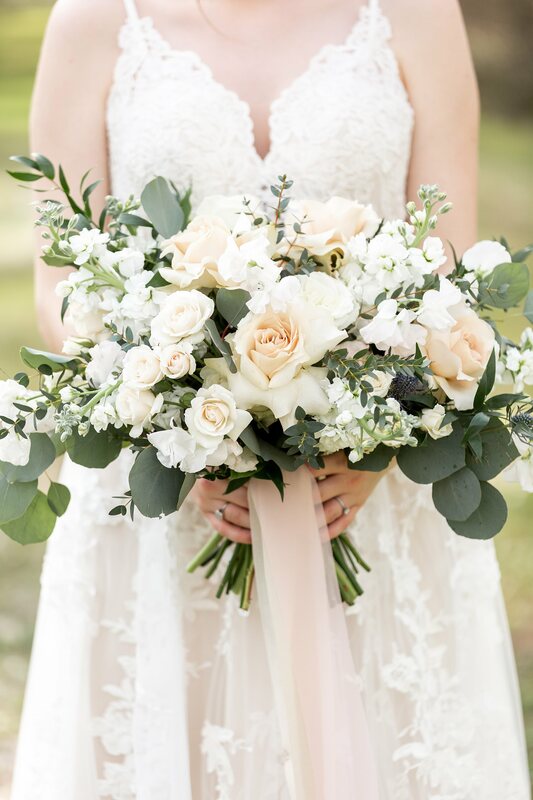 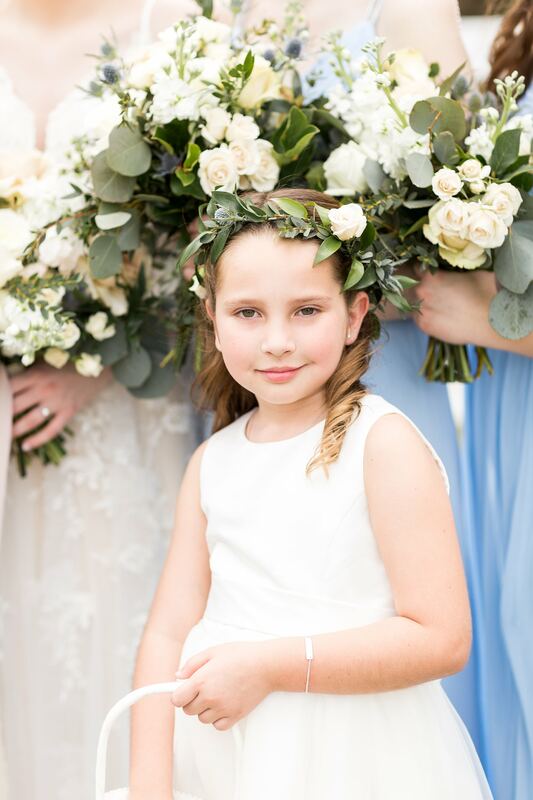 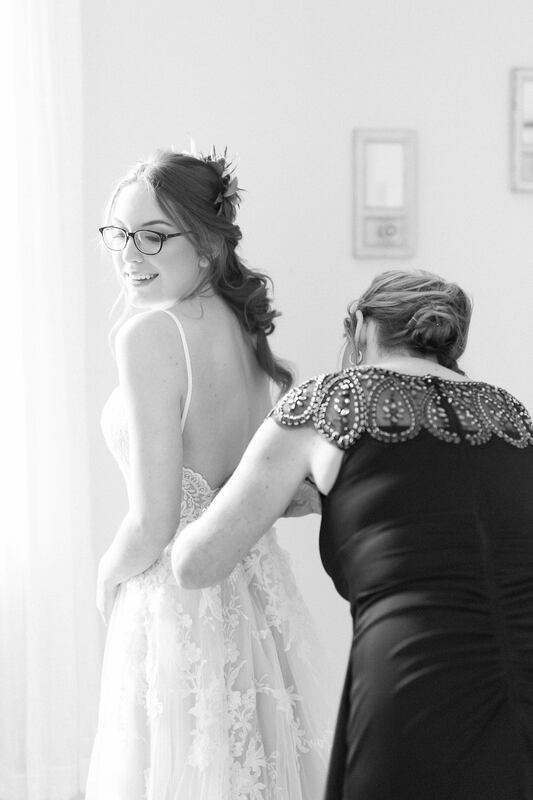 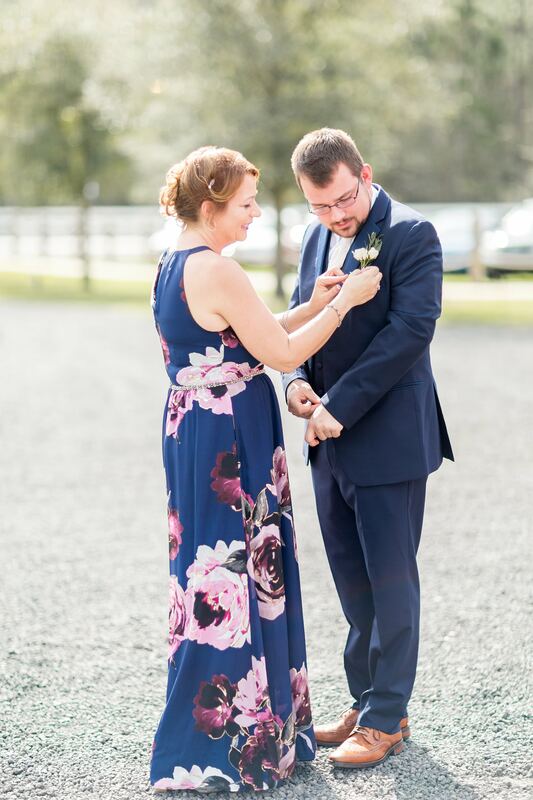 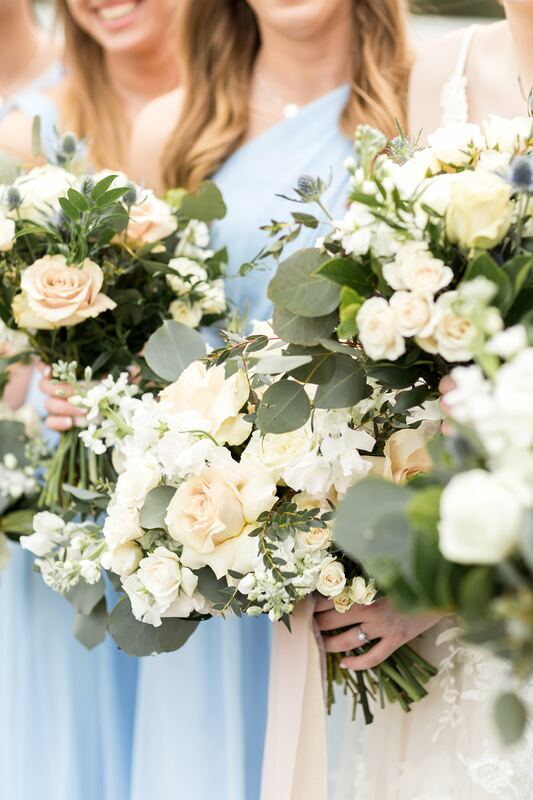 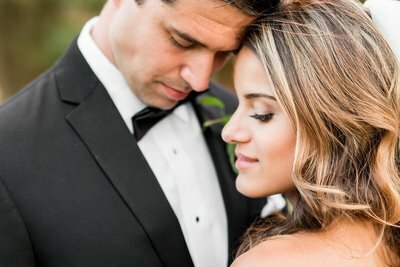 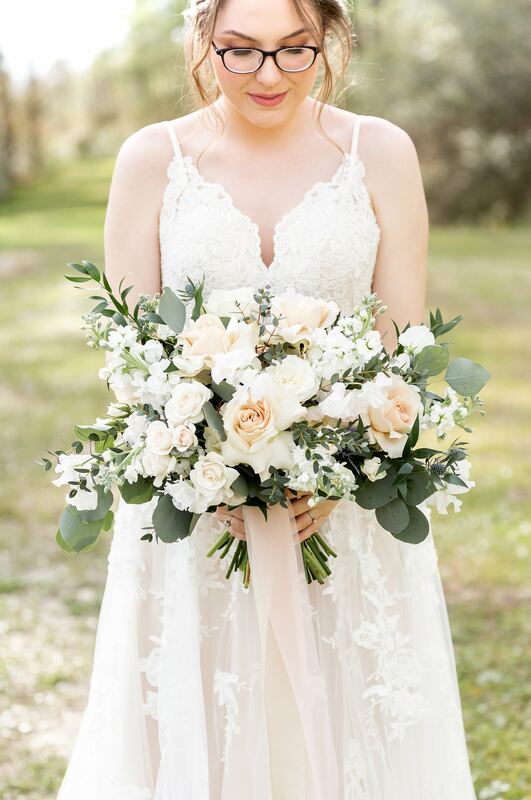 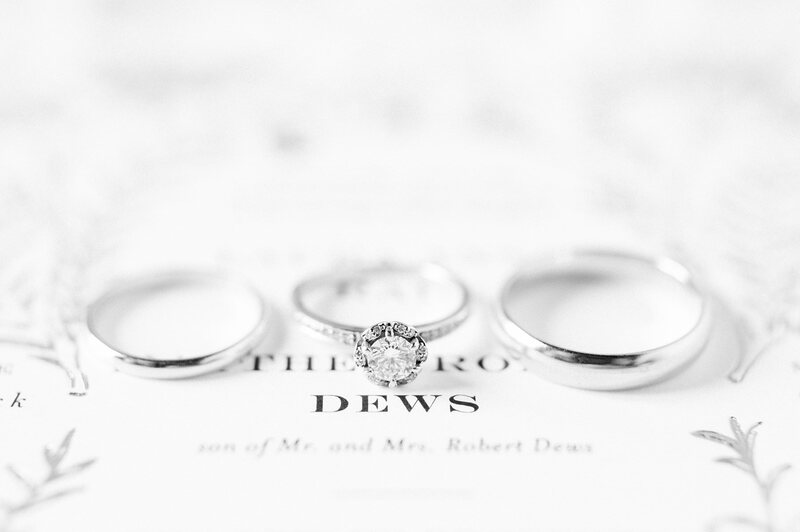 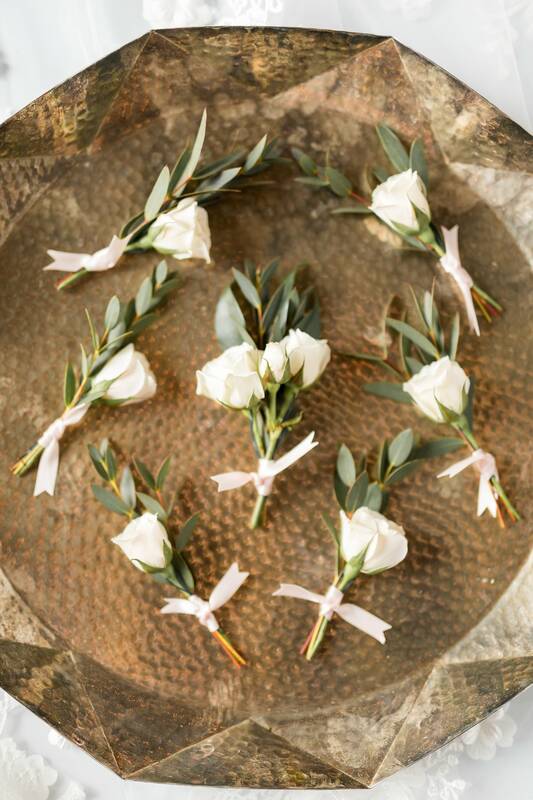 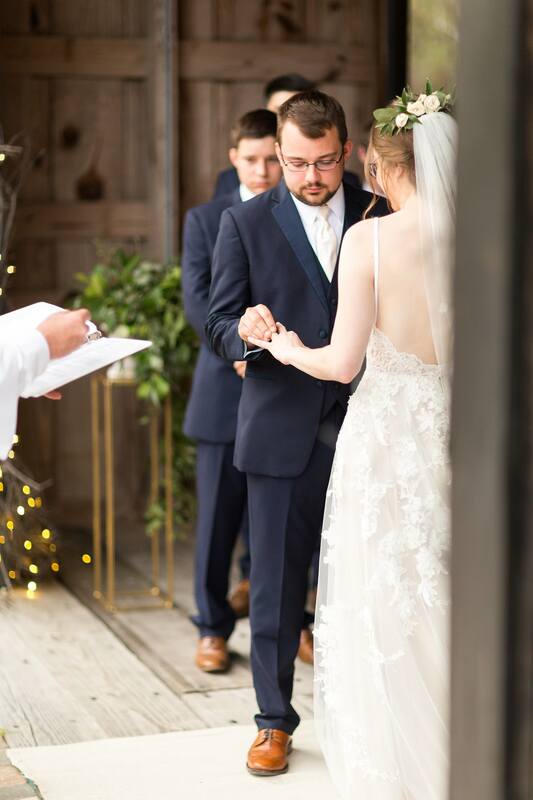 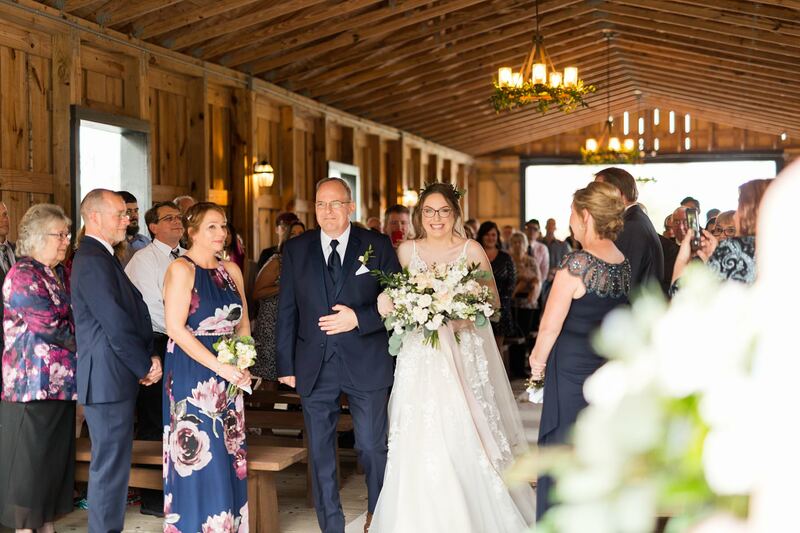 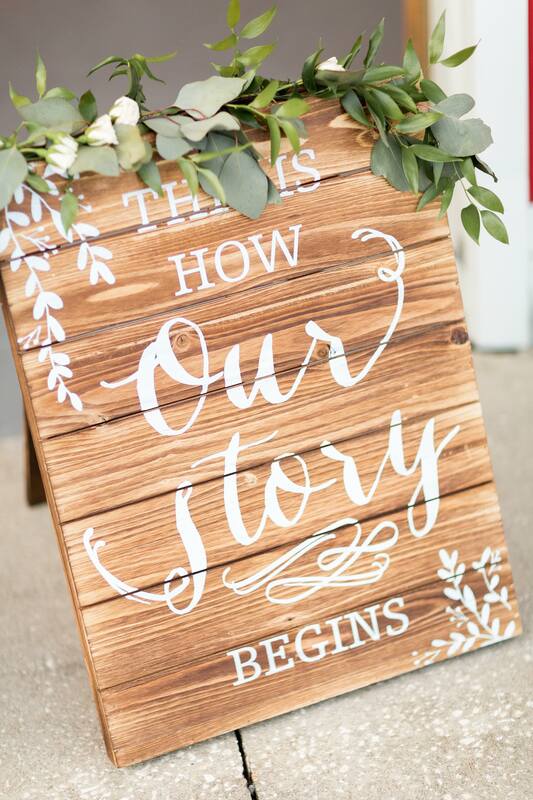 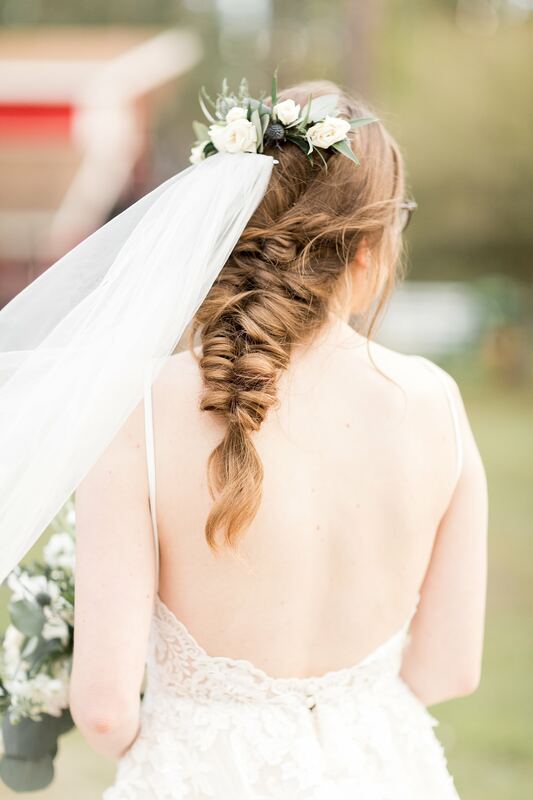 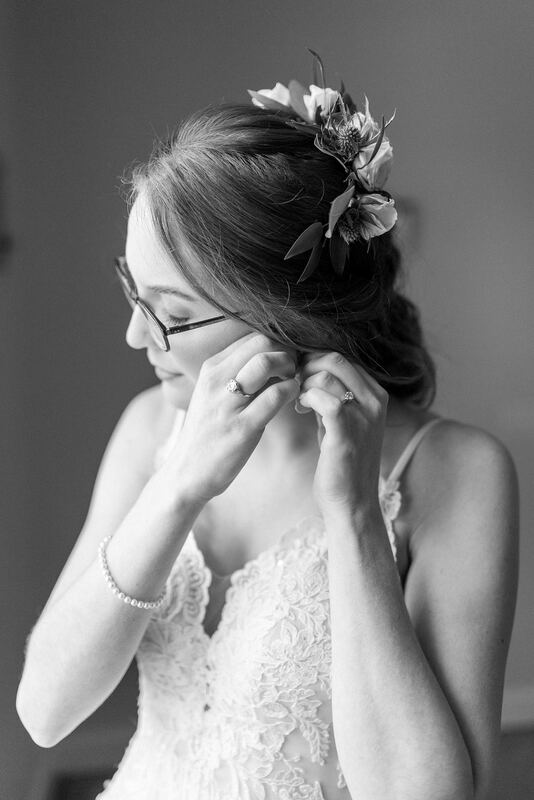 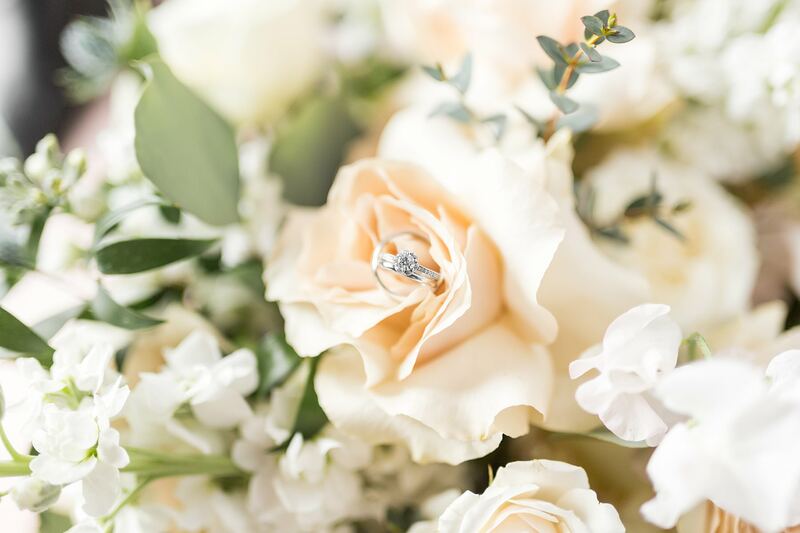 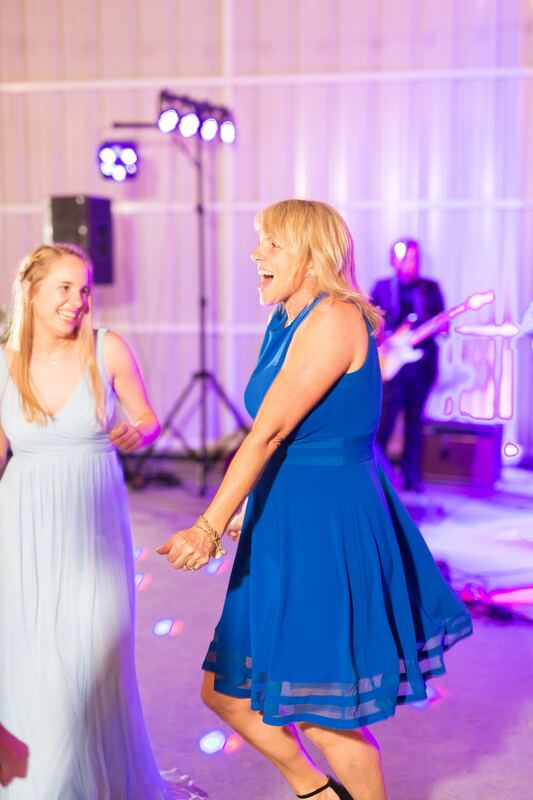 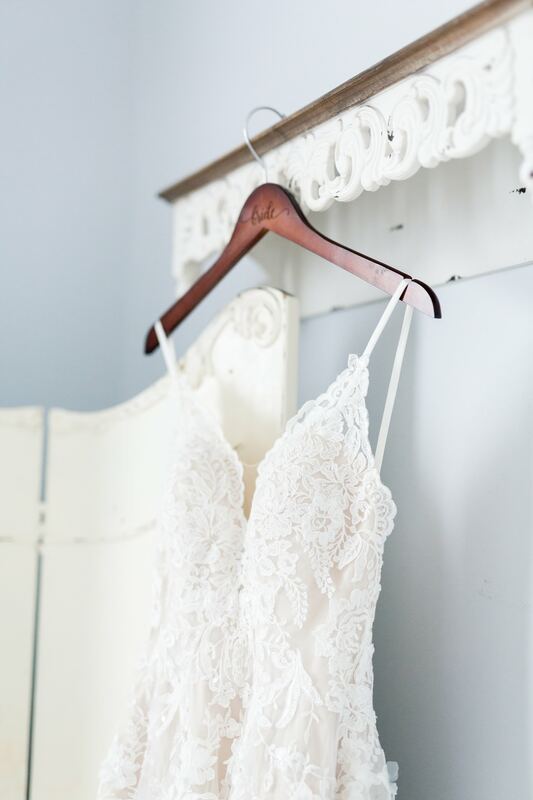 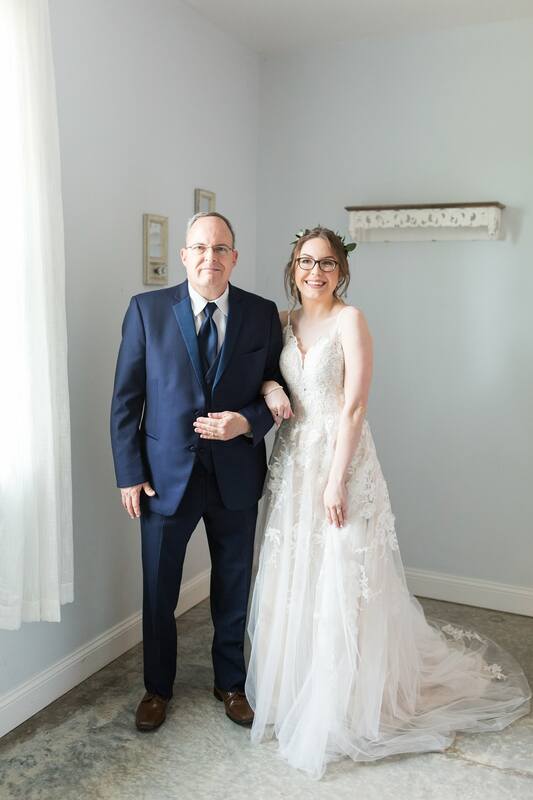 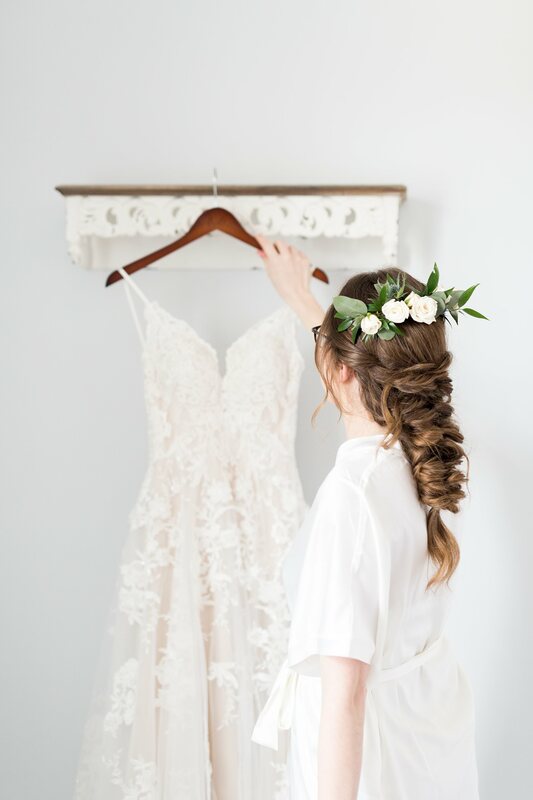 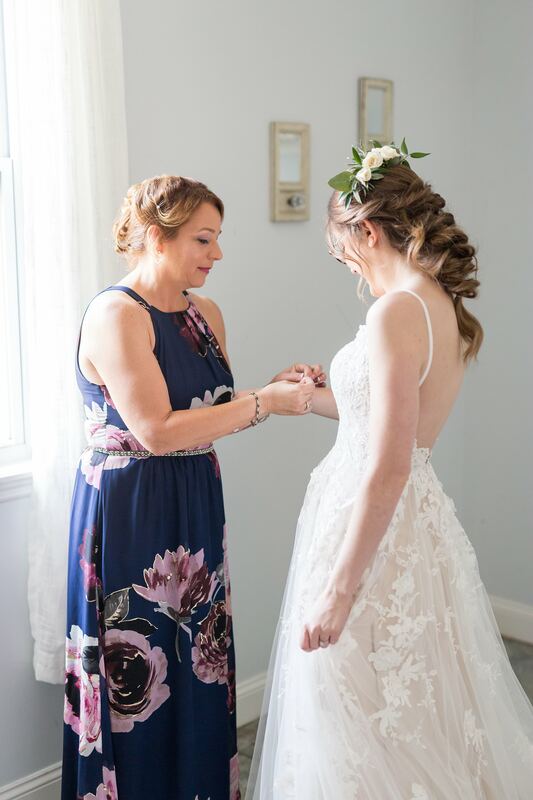 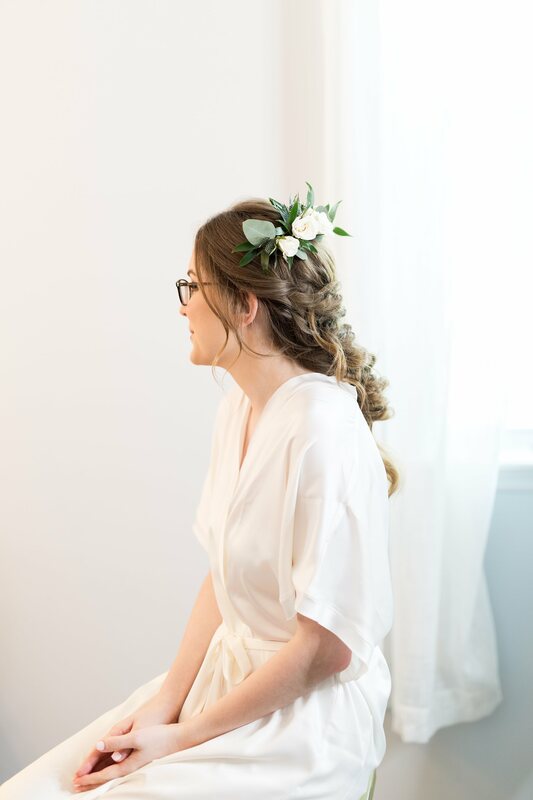 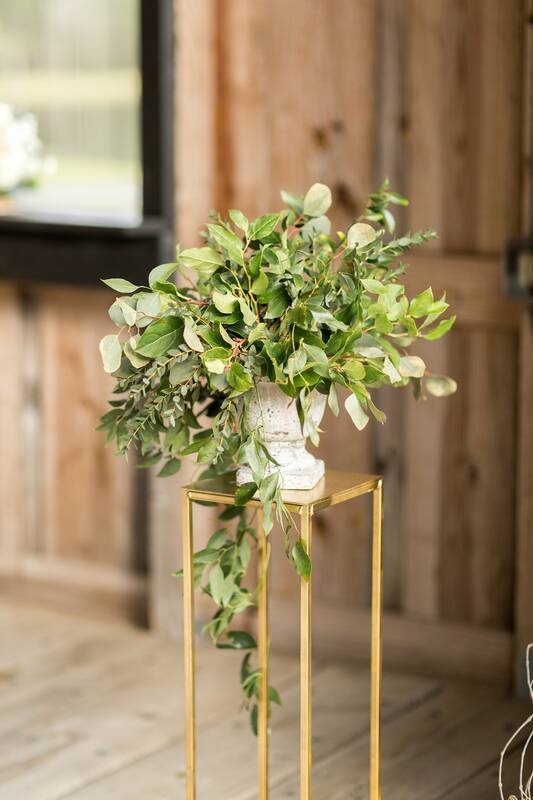 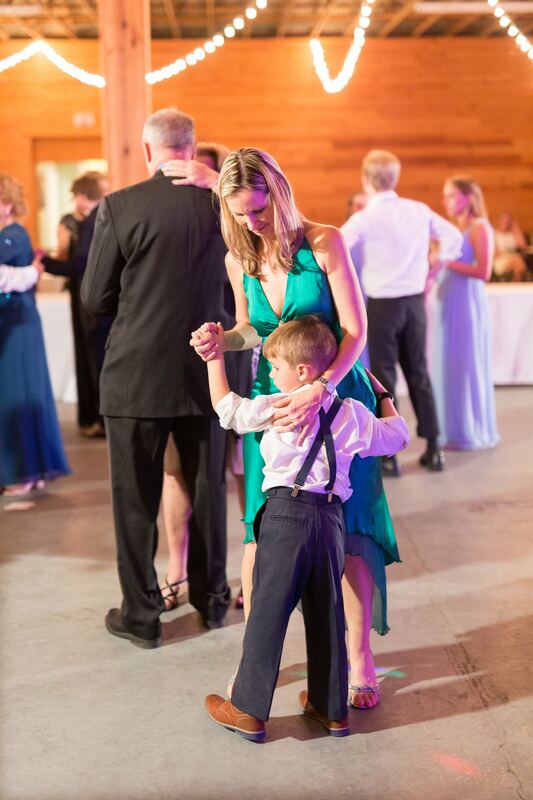 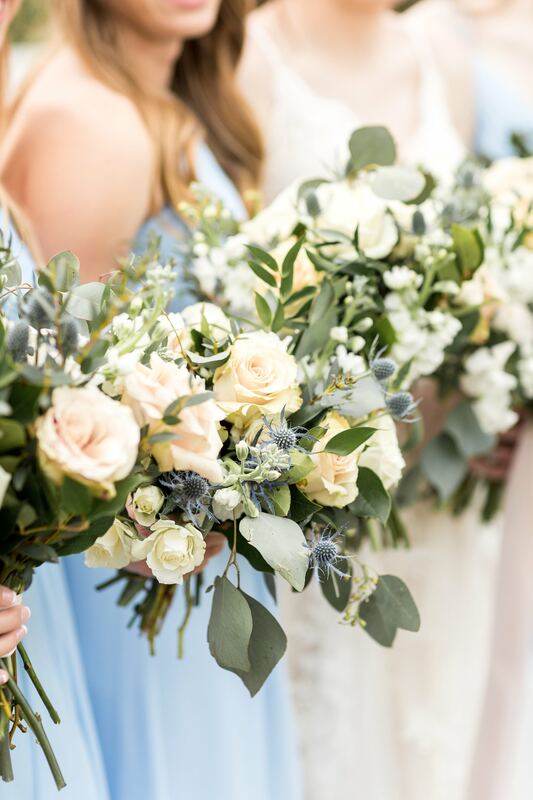 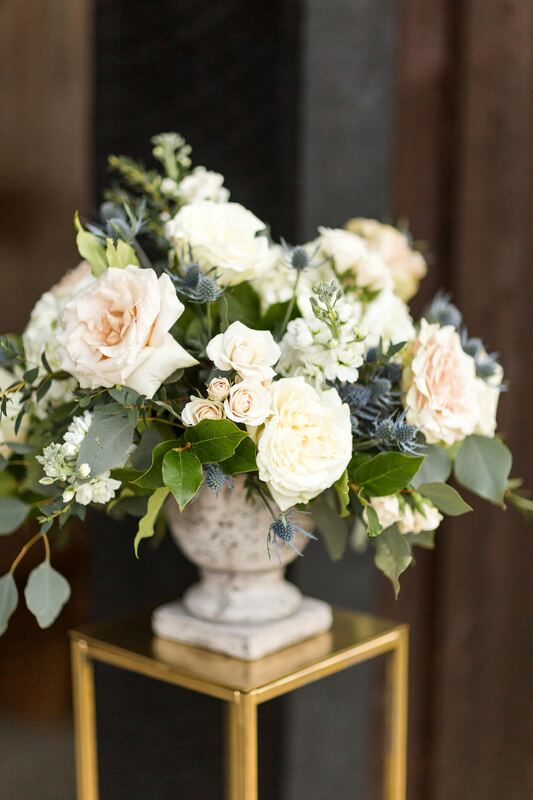 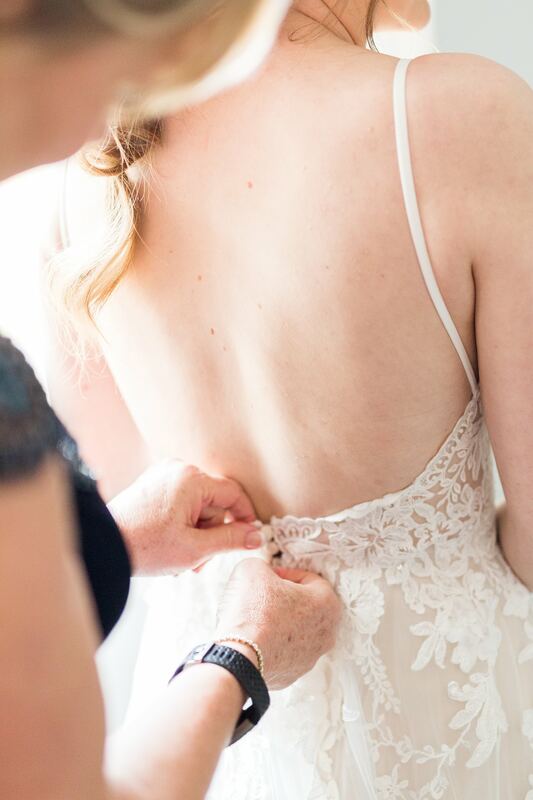 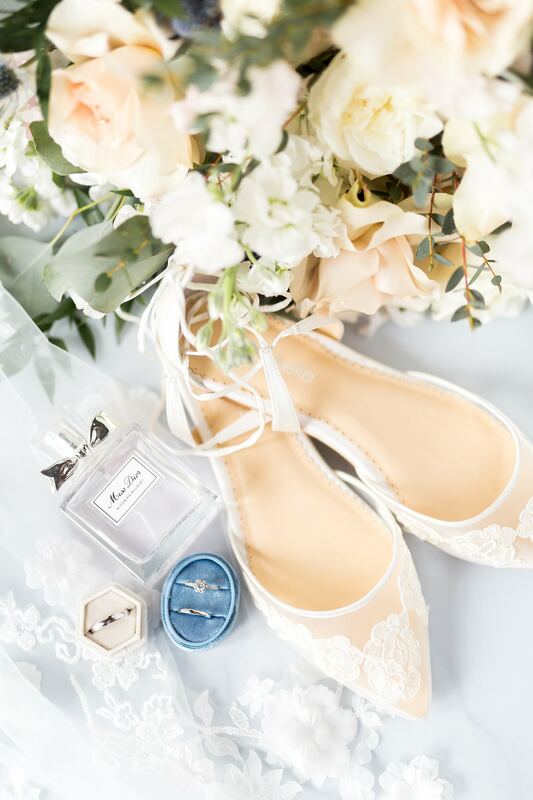 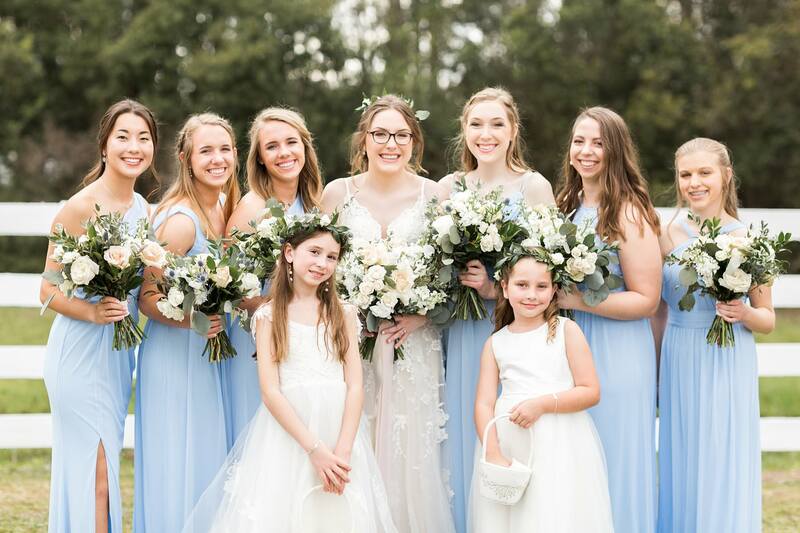 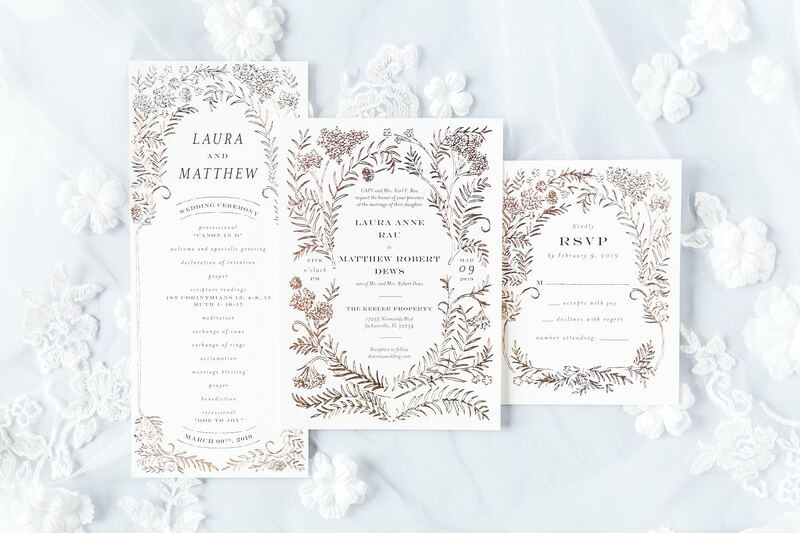 There were countless family ties throughout the wedding day – from precious heirlooms, to having the harpist that played at Laura’s parents’ wedding play their ceremony music. 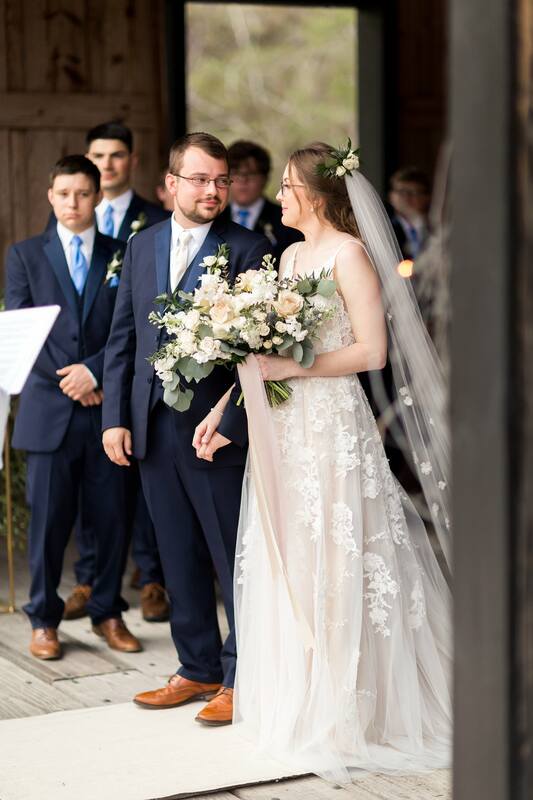 It was all so special! 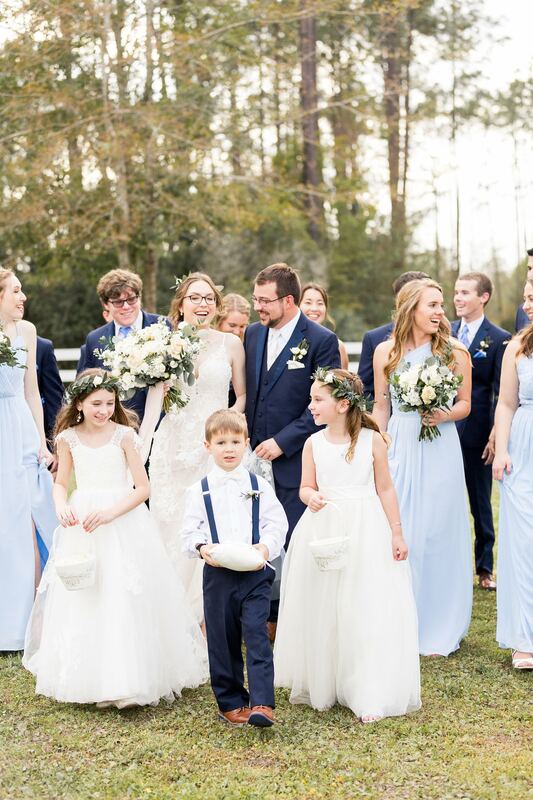 Not to mention that since Matt + Laura grew up together, their families are very good friends! 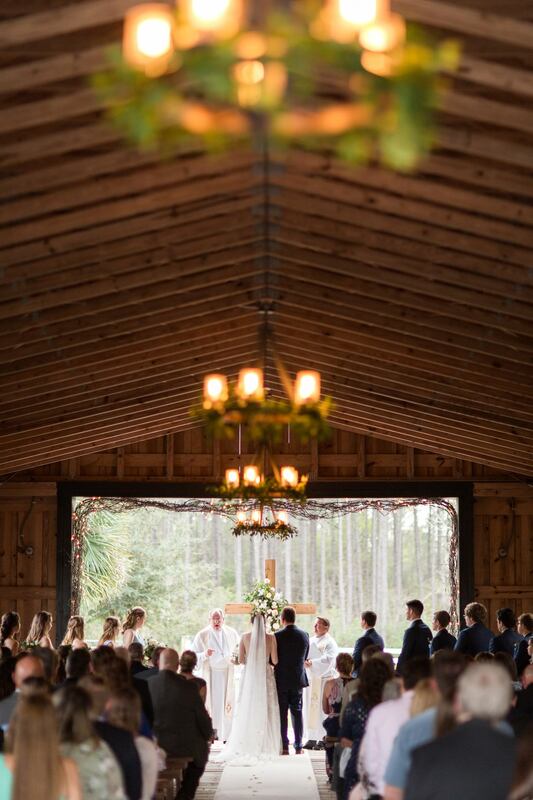 Joy overflowed throughout the entire day and we were honored to be a part of it! 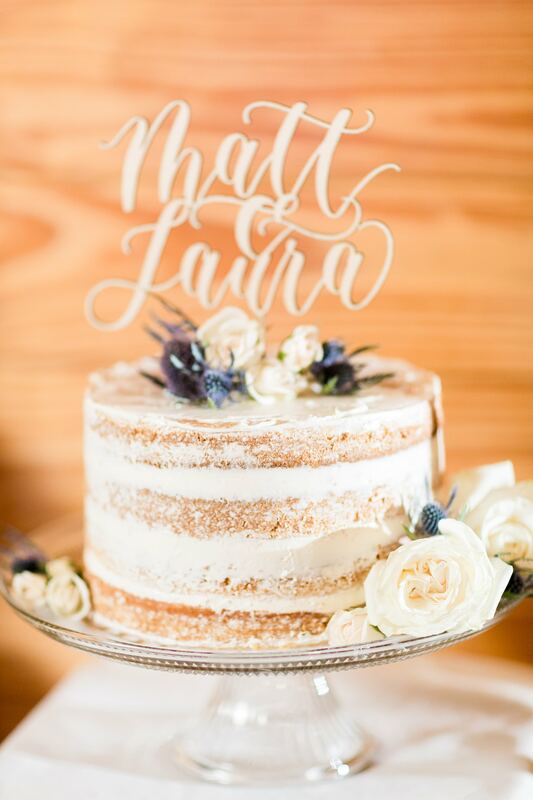 Laura had the most beautiful details! 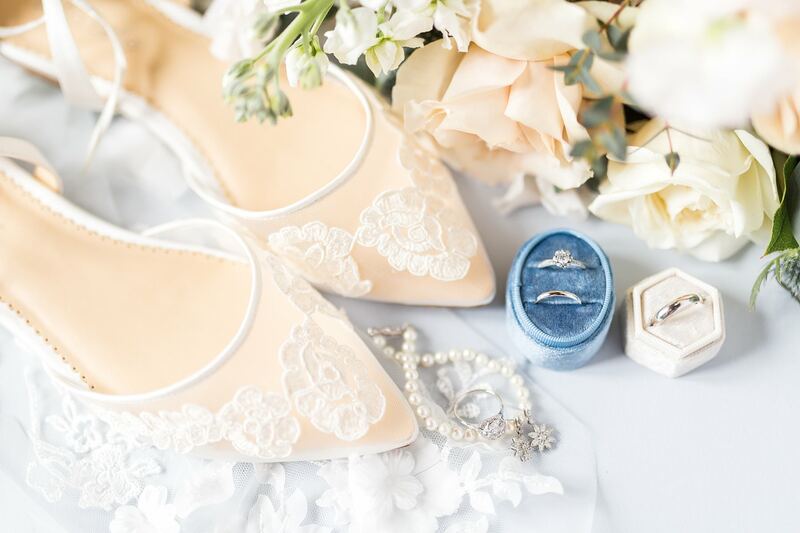 Bella Belle shoes are a personal favorite! 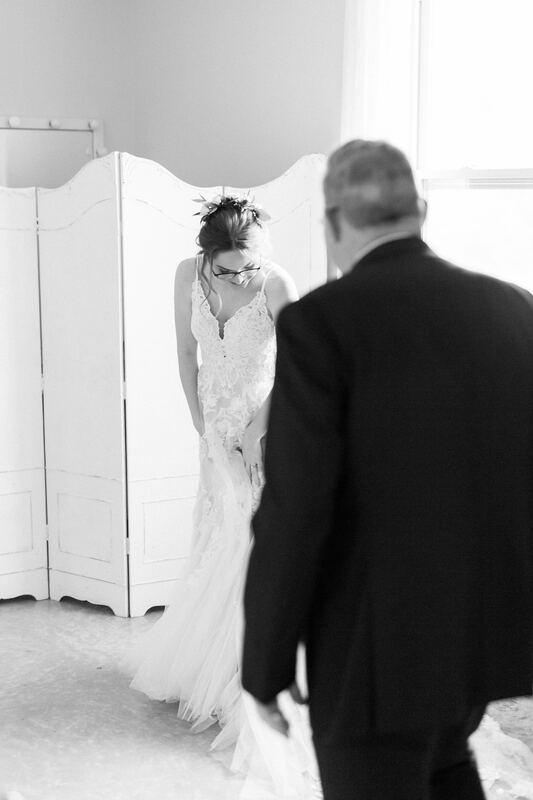 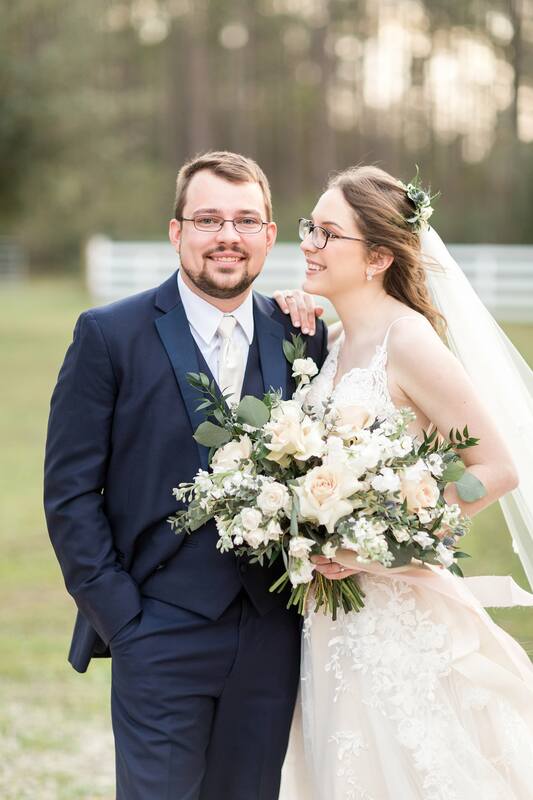 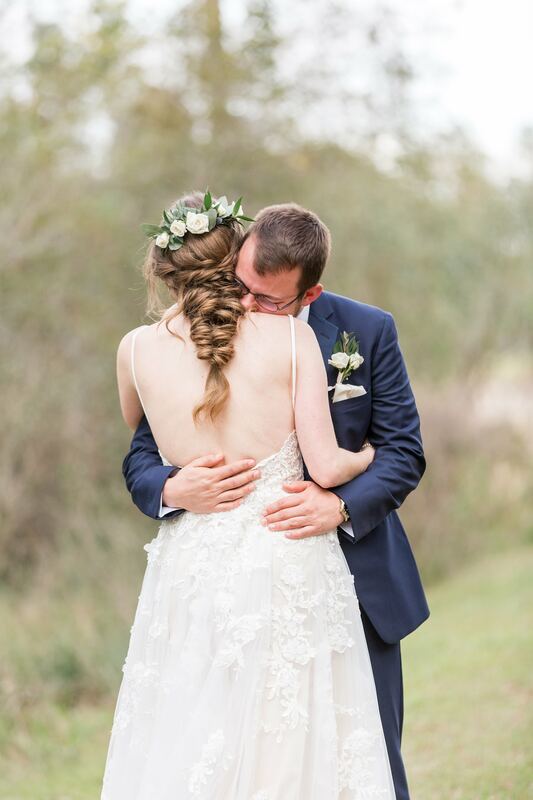 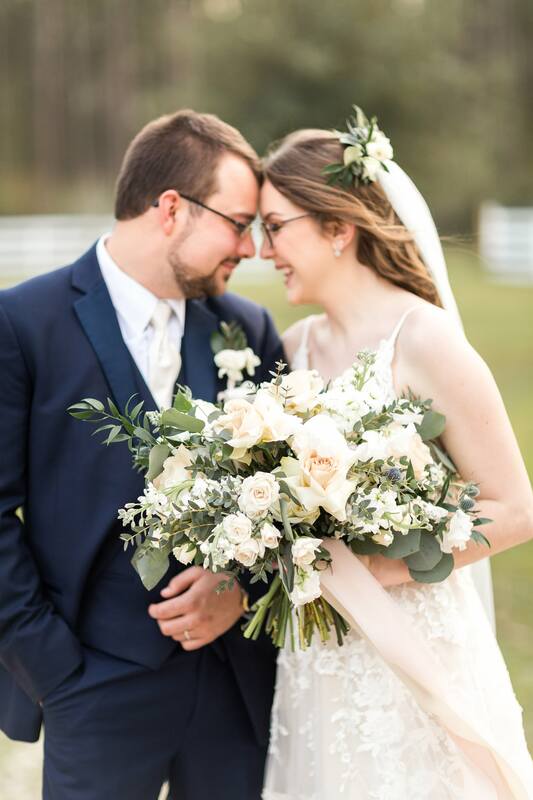 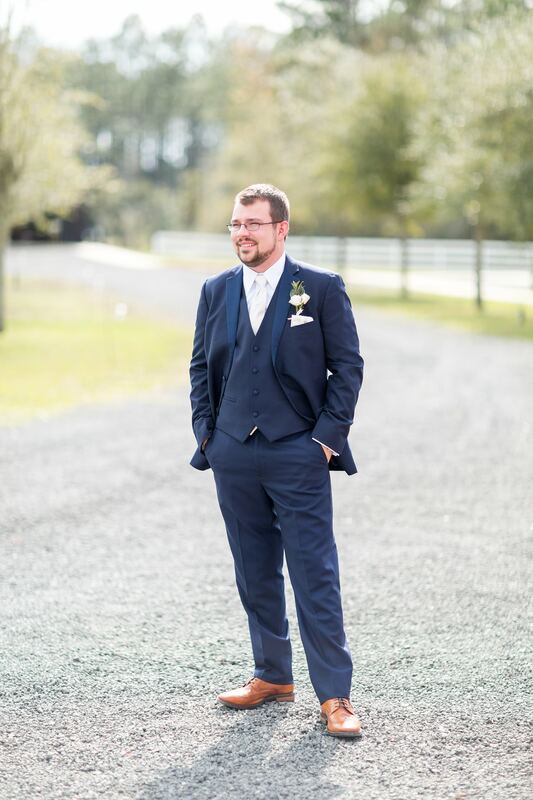 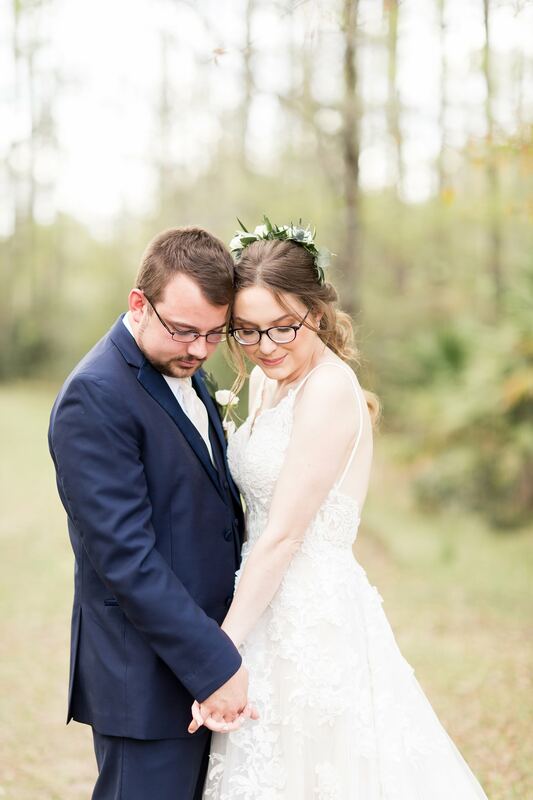 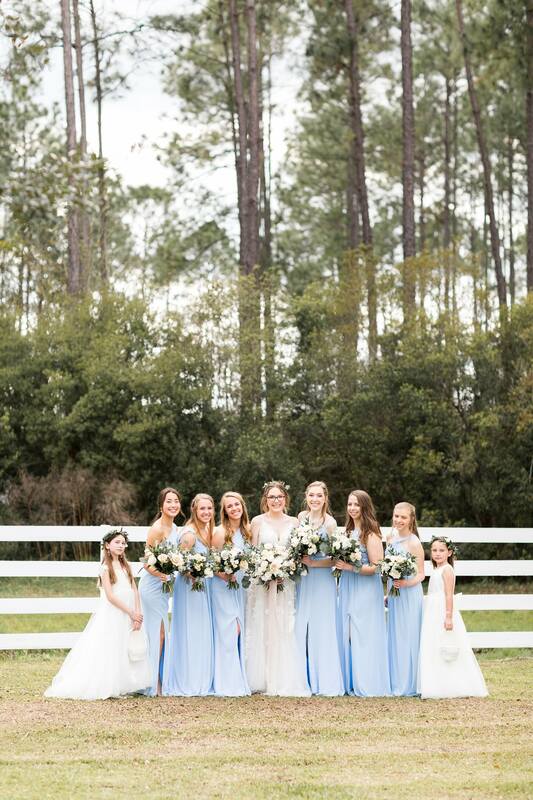 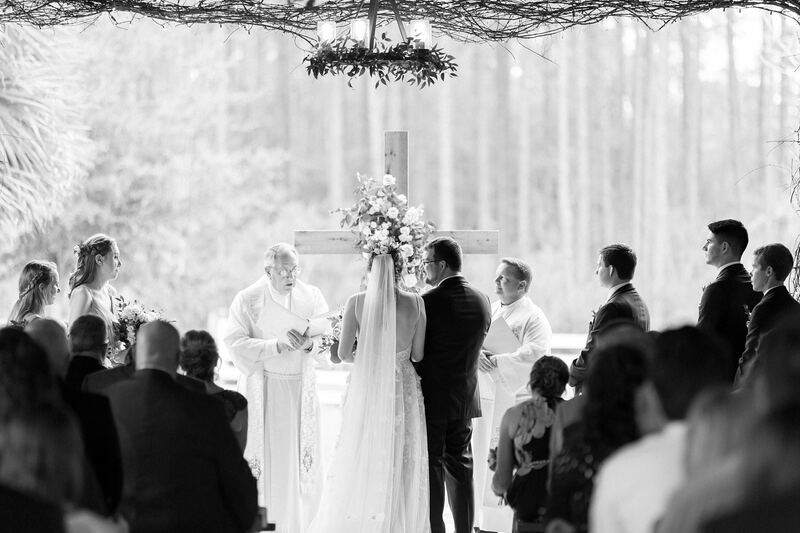 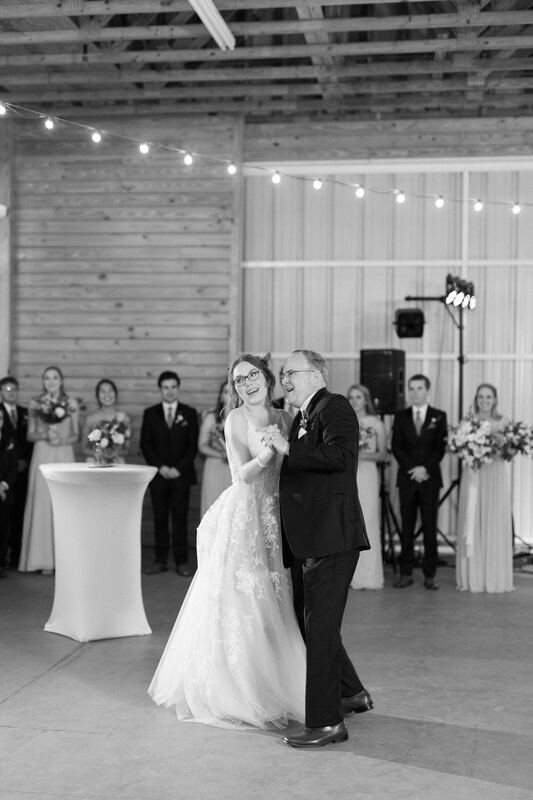 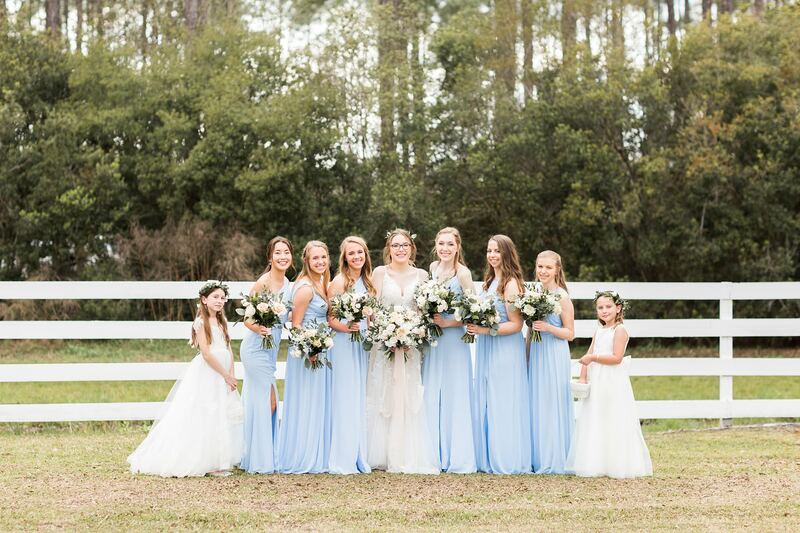 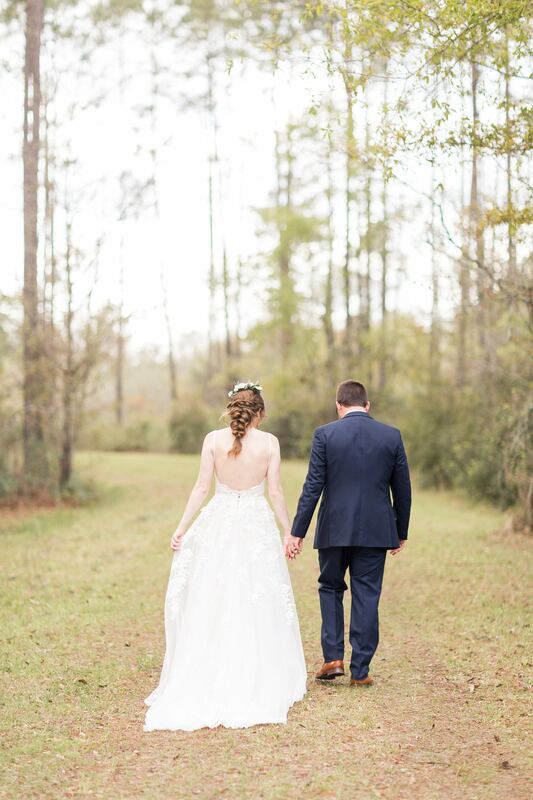 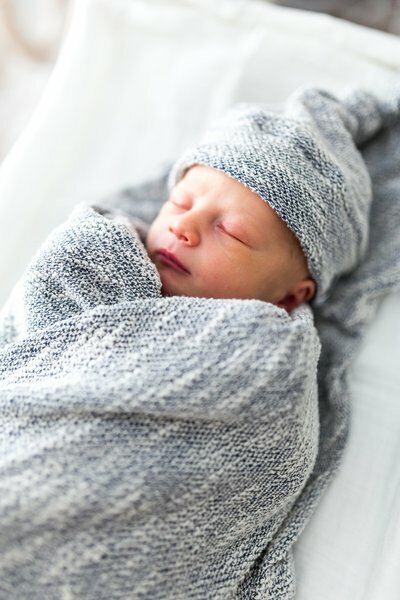 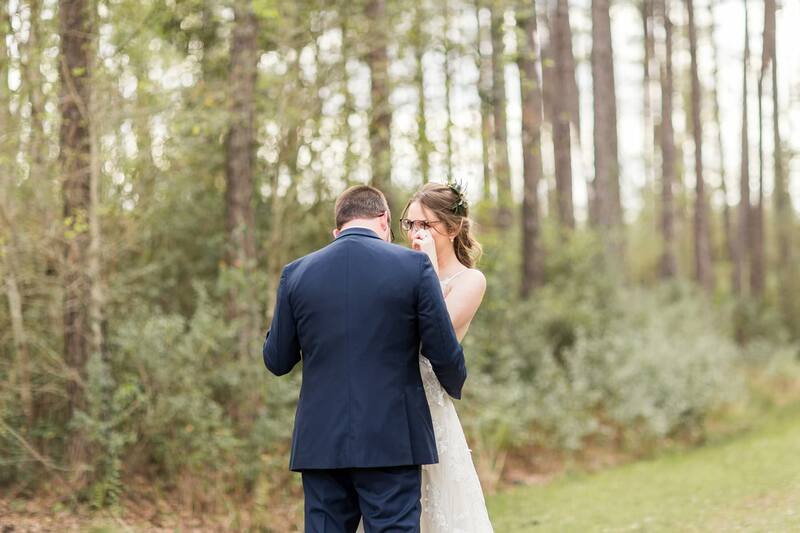 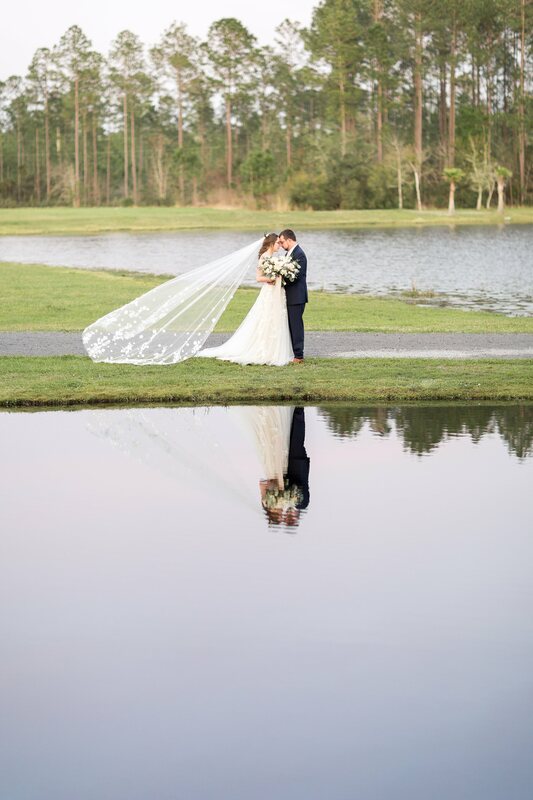 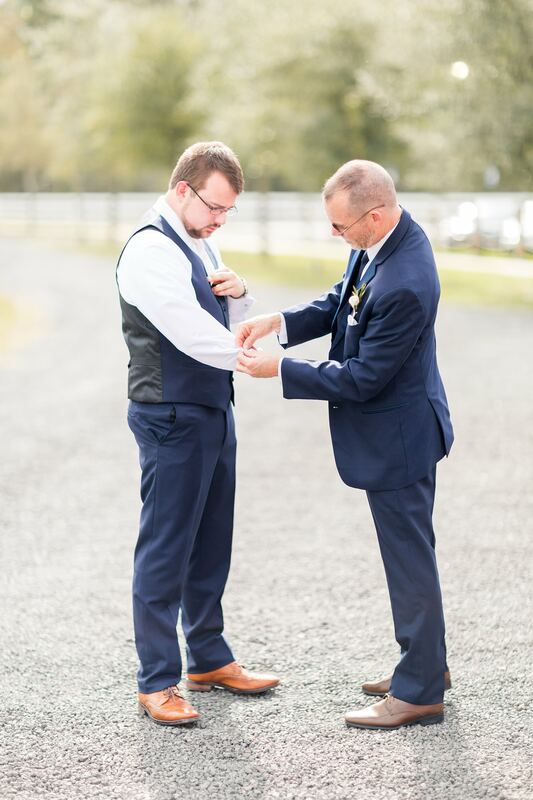 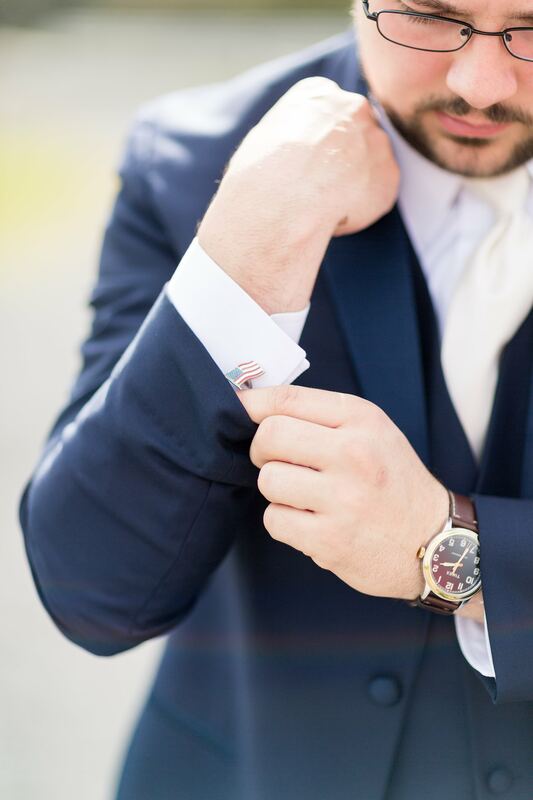 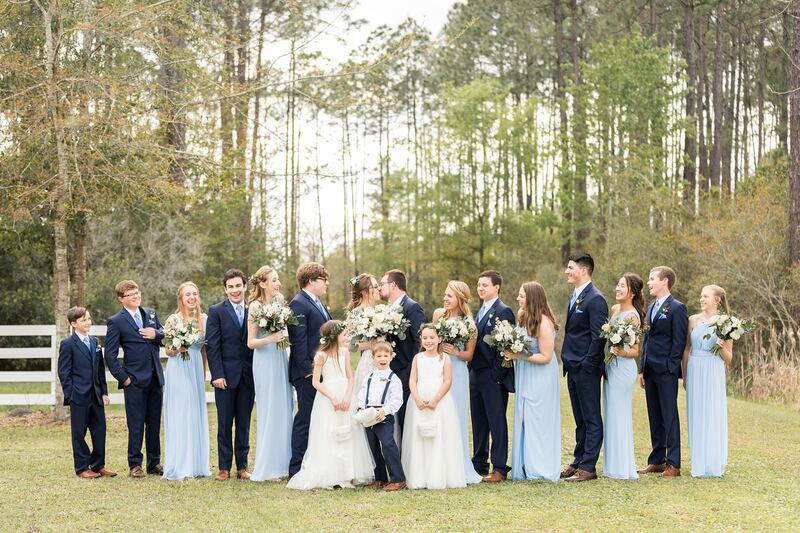 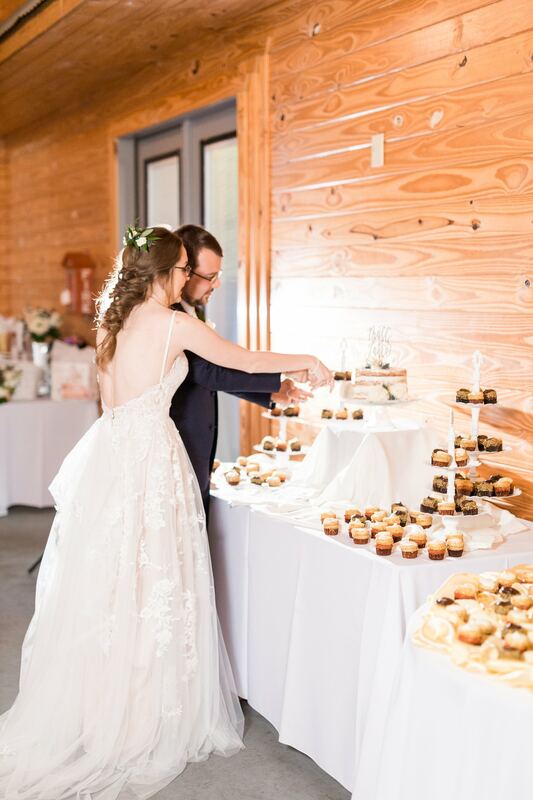 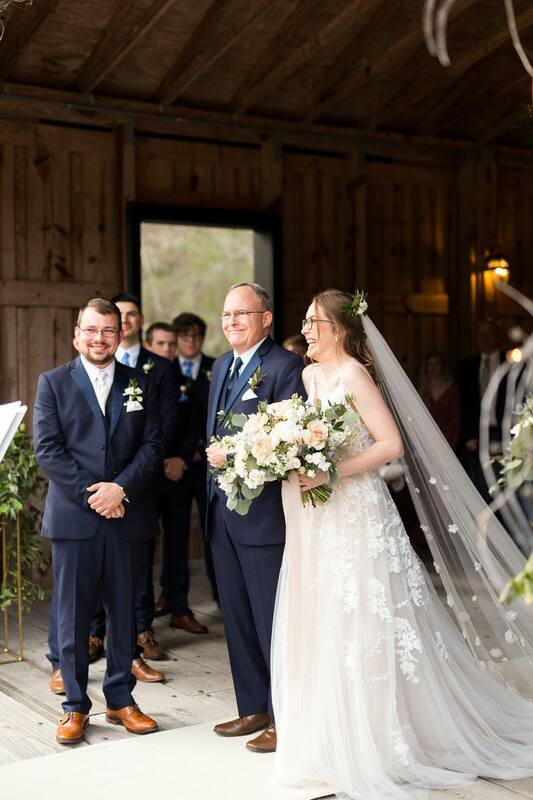 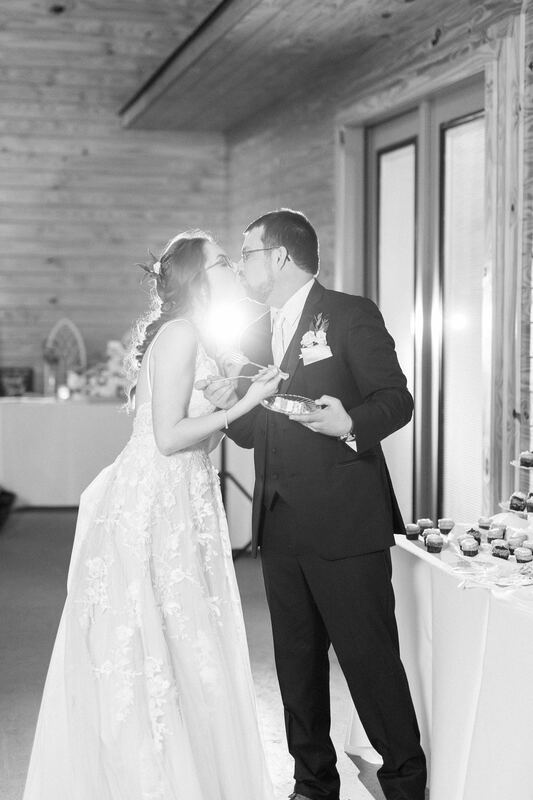 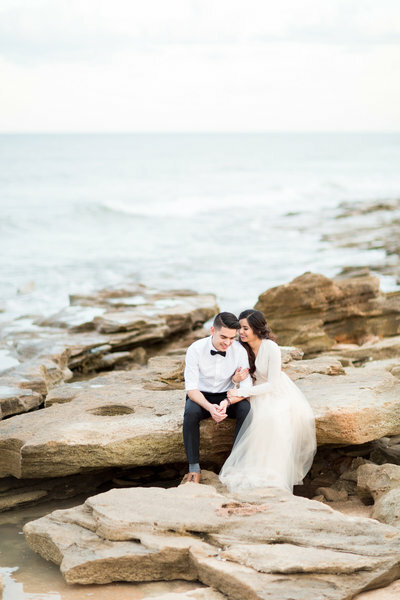 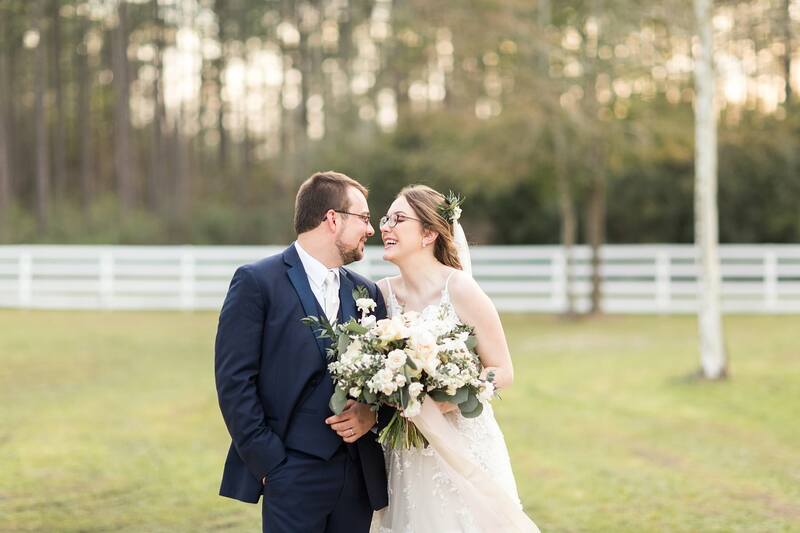 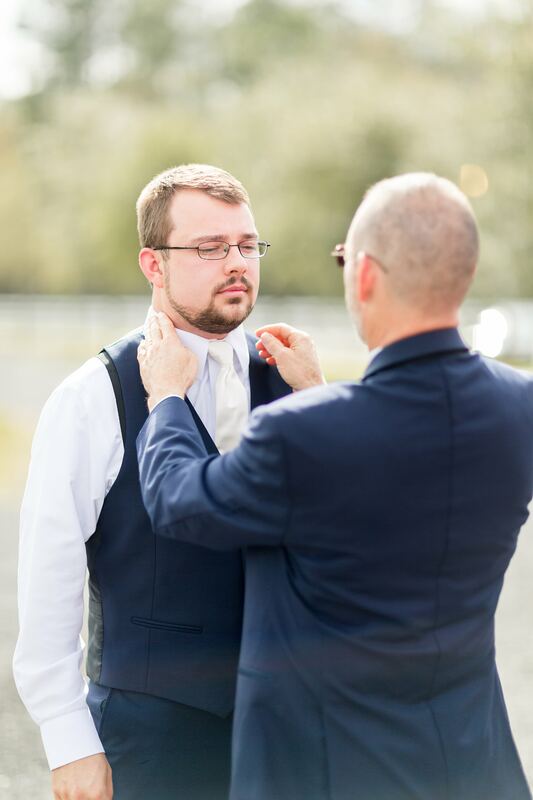 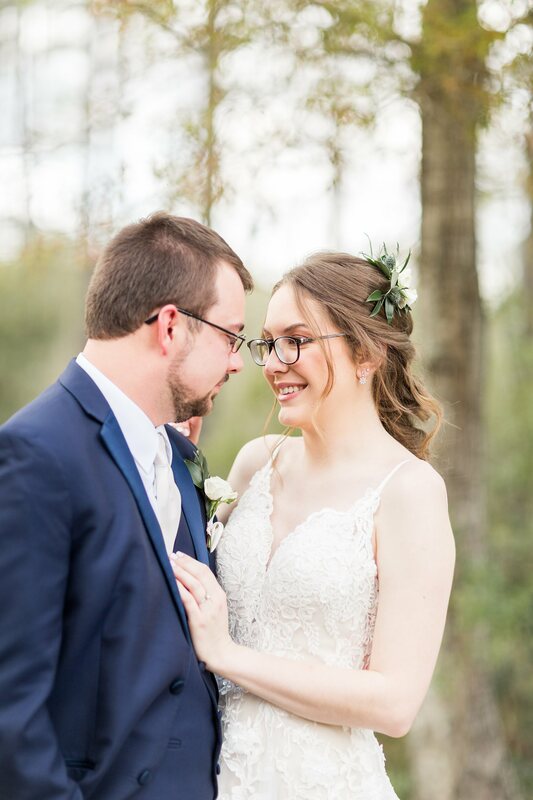 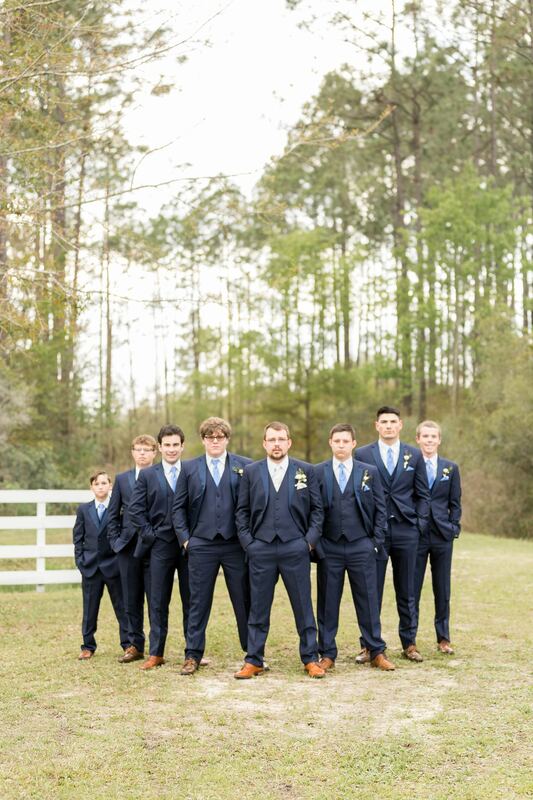 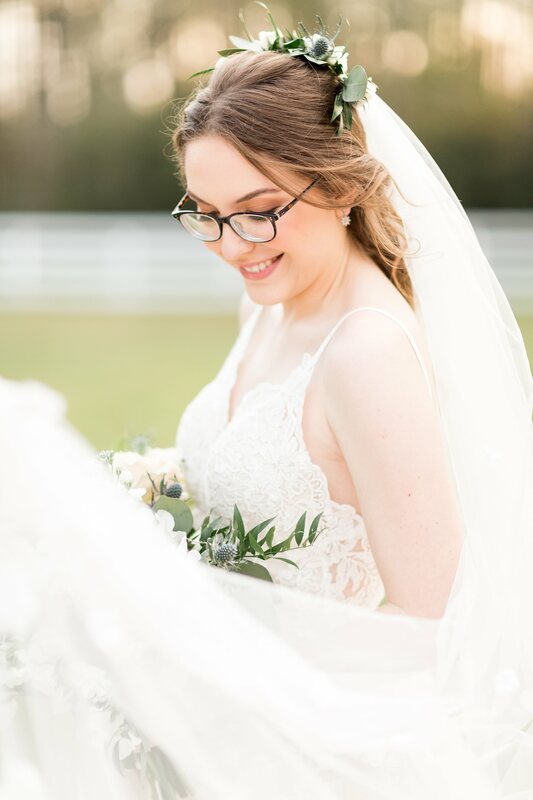 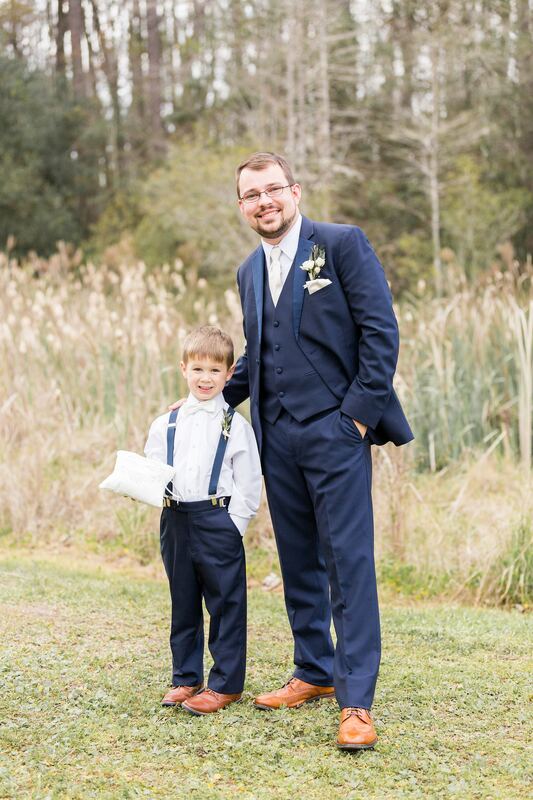 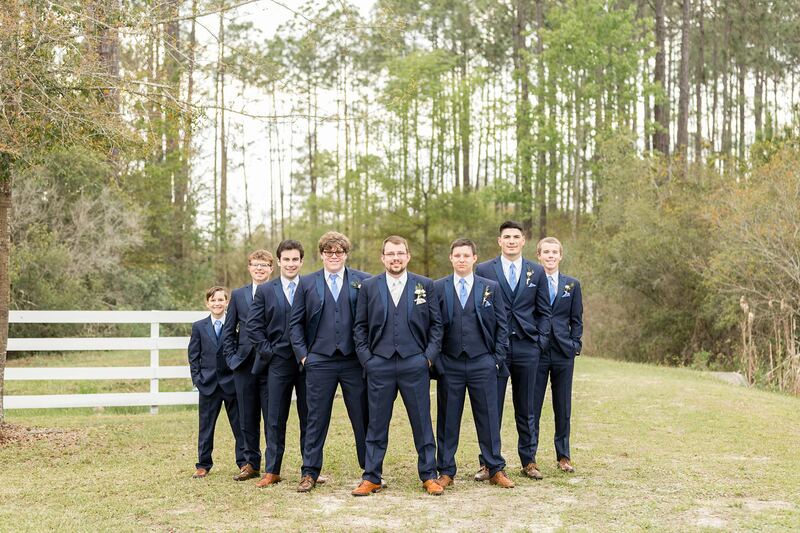 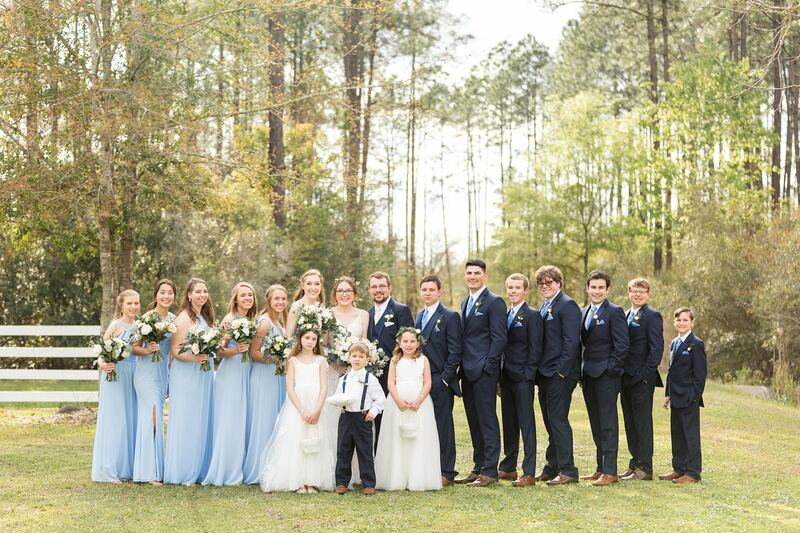 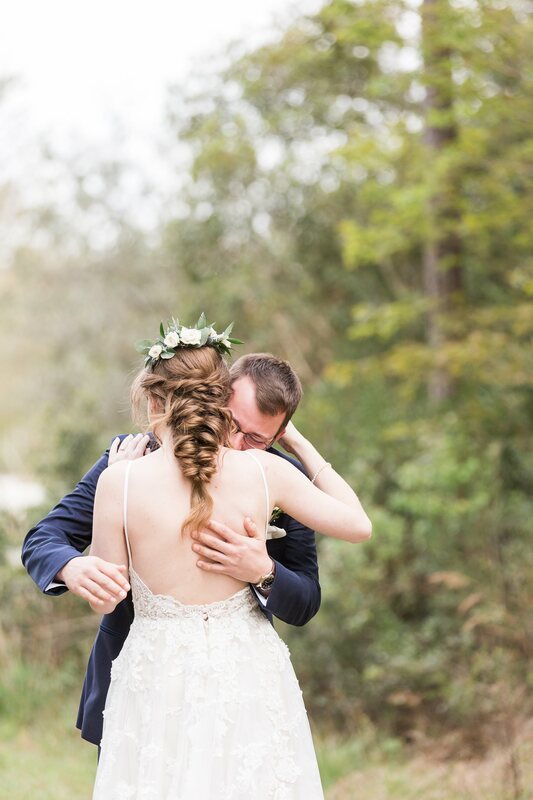 Father first looks are one of our favorite parts of the day! 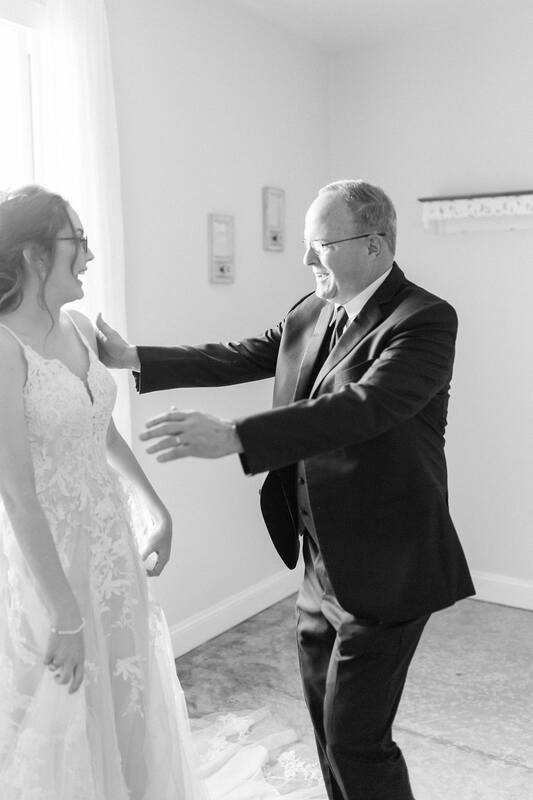 Loved this sweet reaction! 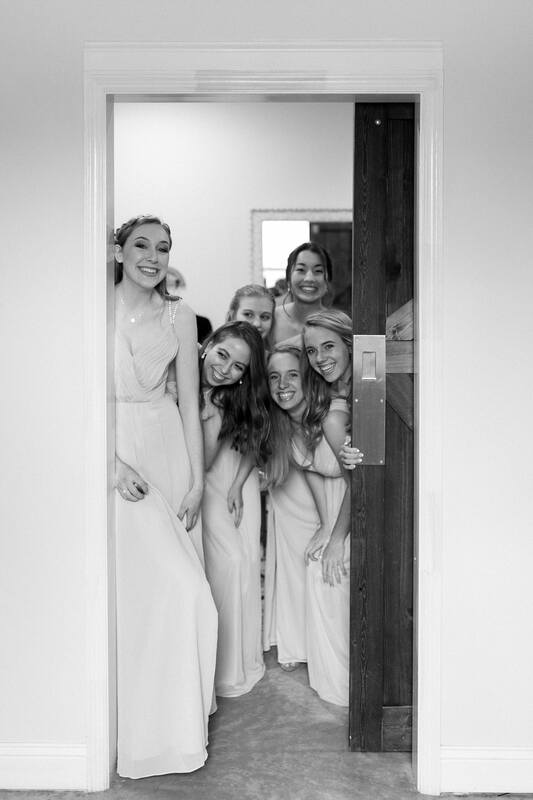 And sweet bridesmaids peeking through the door to watch! 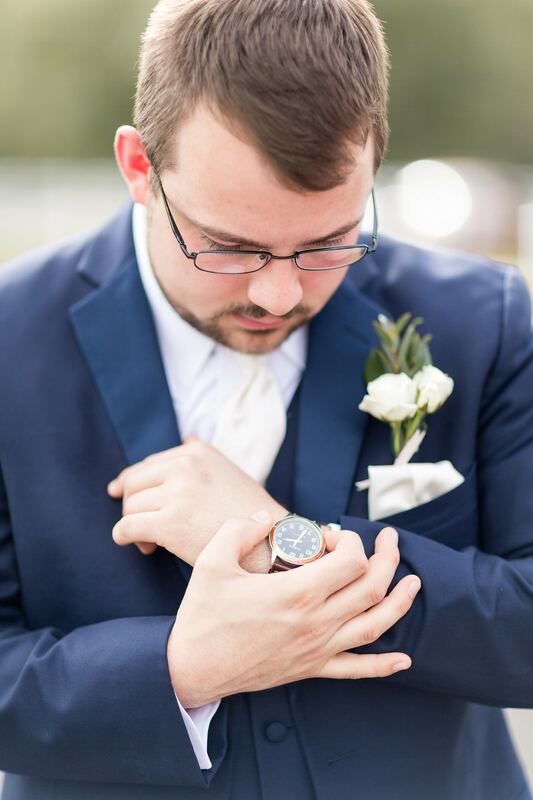 Time for Matt to get ready! 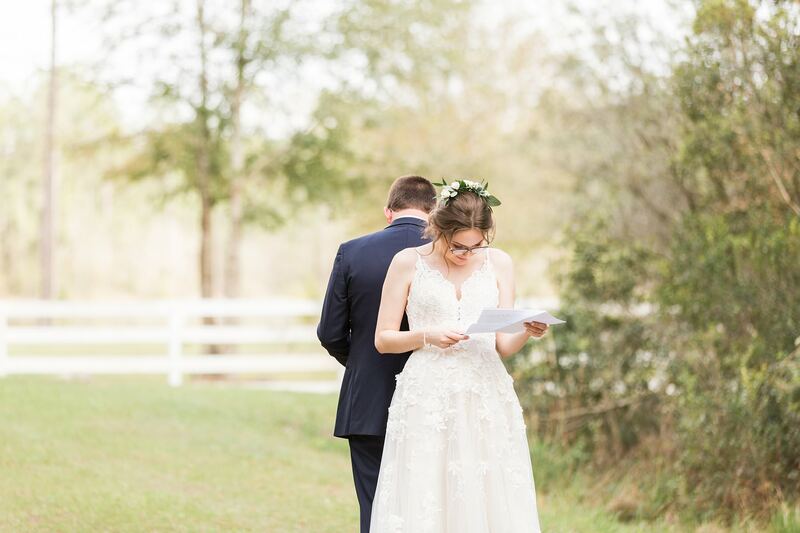 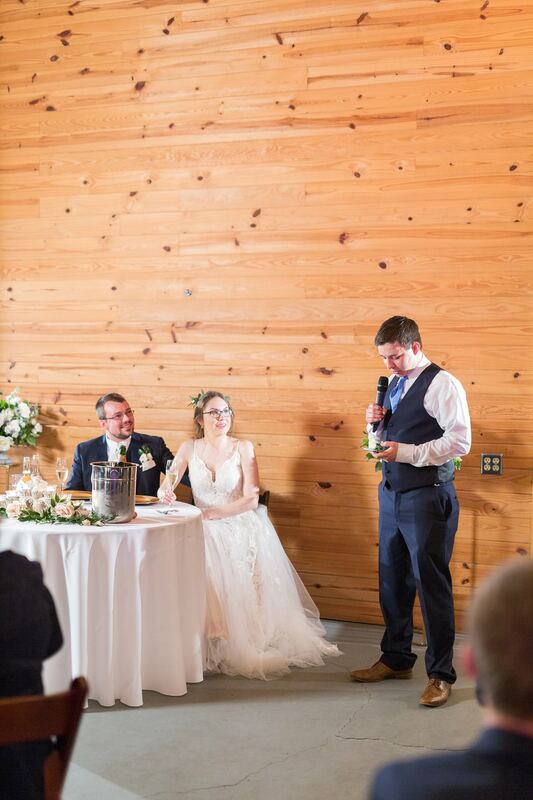 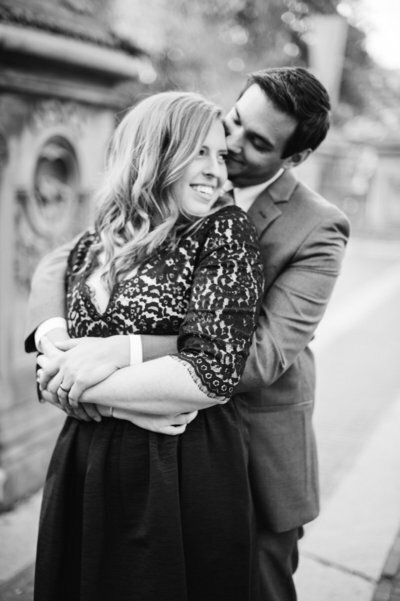 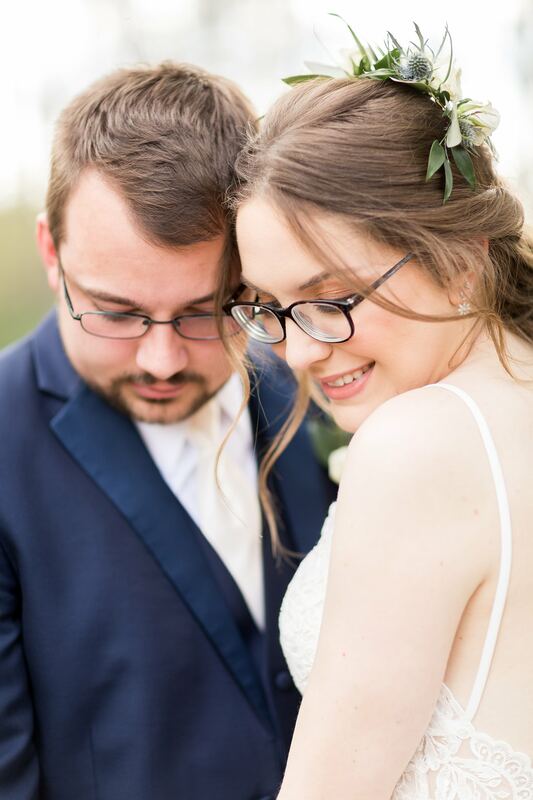 For their first look, Matt and Laura wanted to read letters they wrote before they actually saw each other. 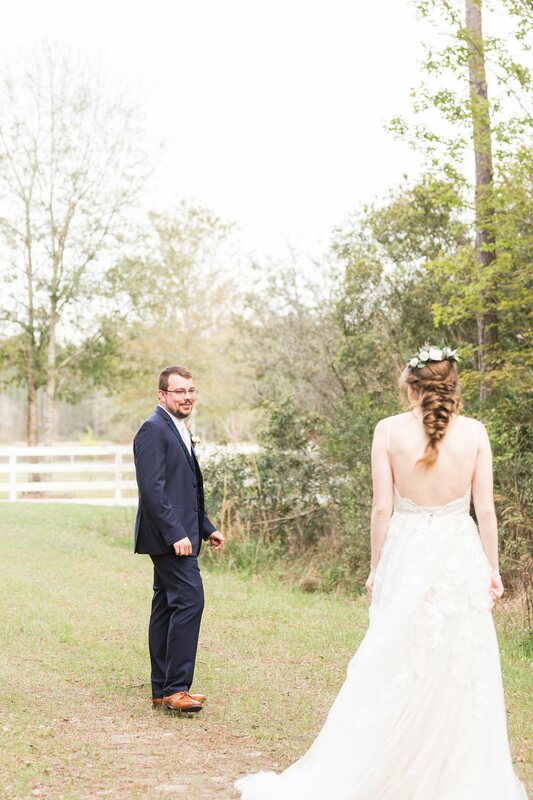 Matt had the best reaction when he finally did see her! 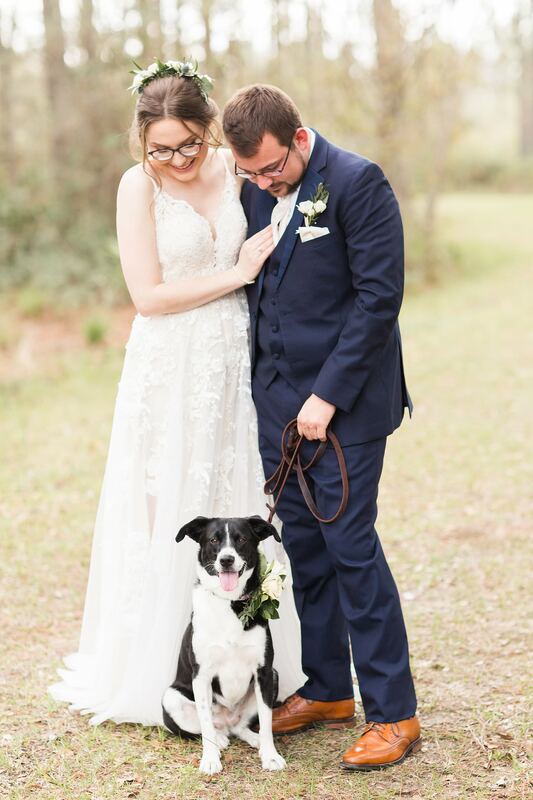 And then they brought their adorable pup Maggie in for a few images. 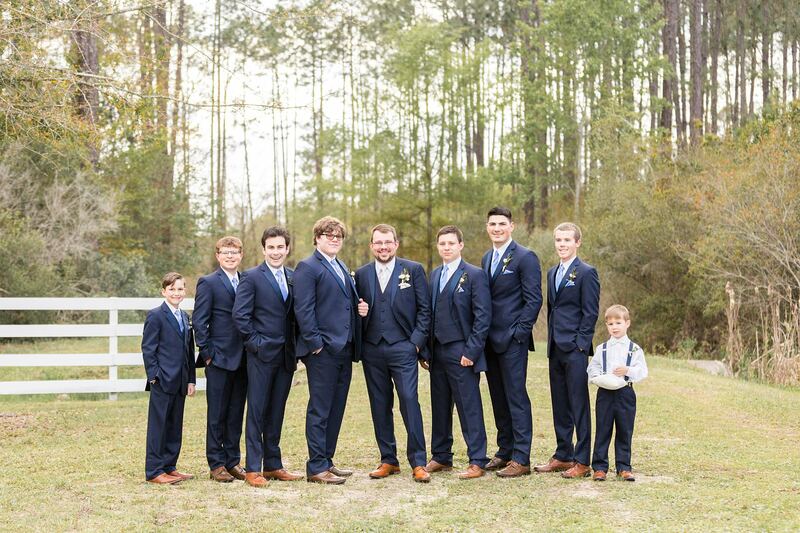 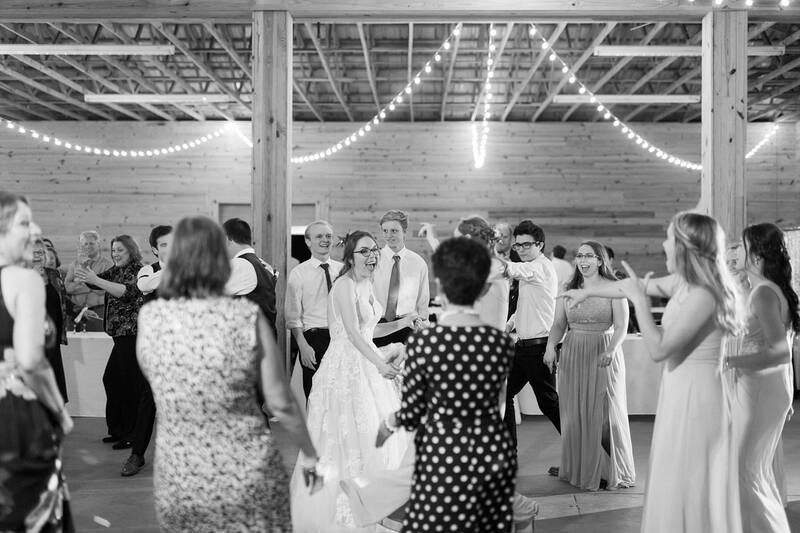 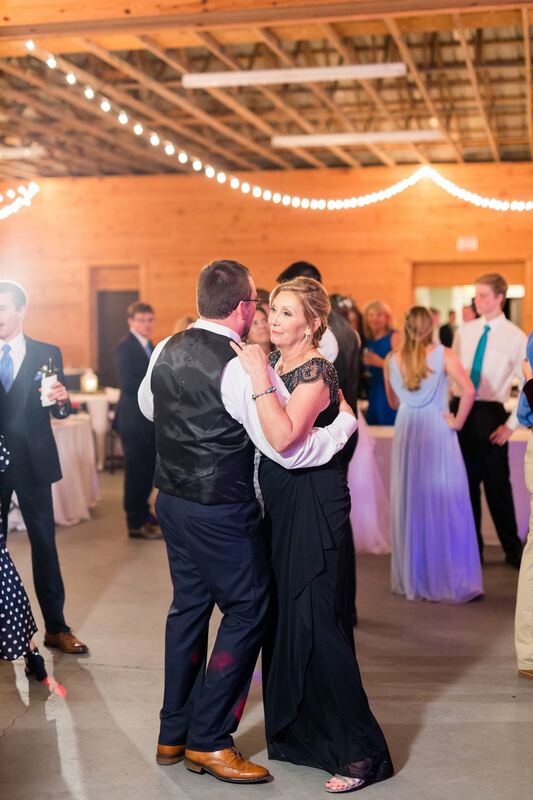 Wedding party photos were up next! 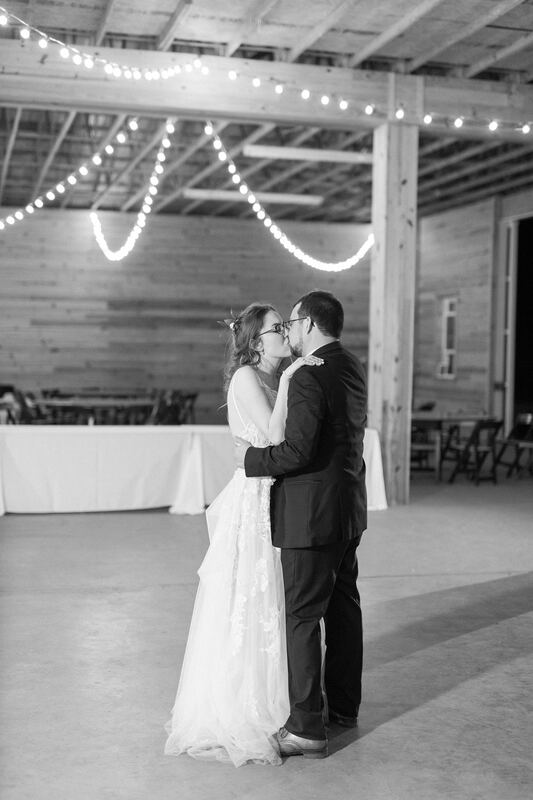 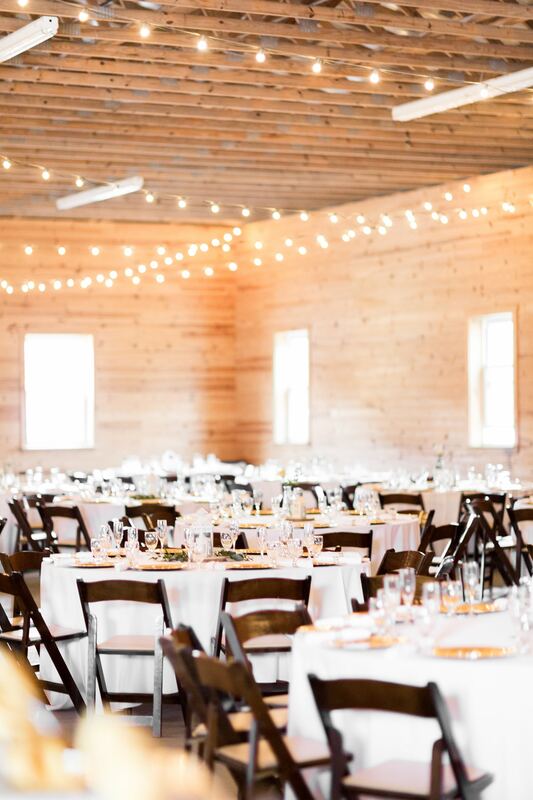 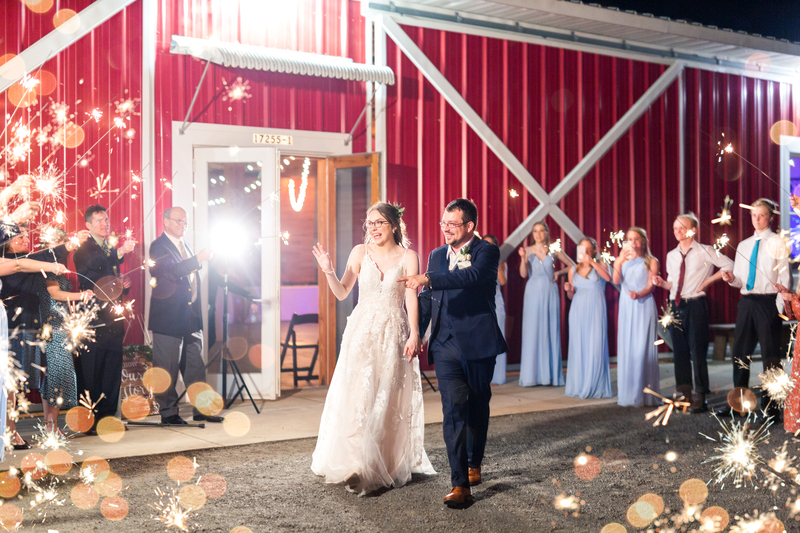 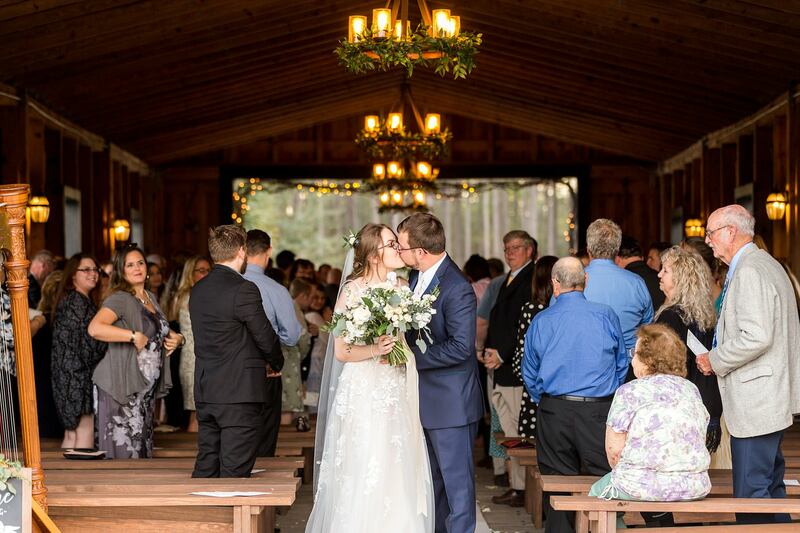 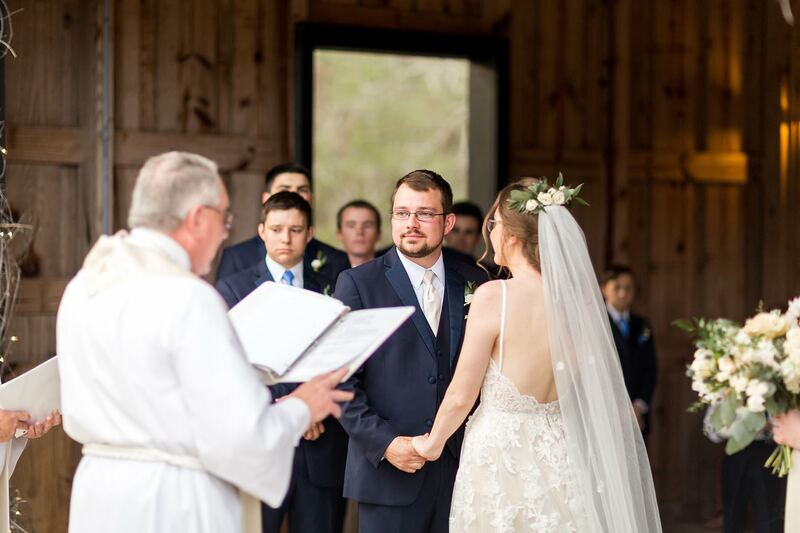 The ceremony was held on The Keeler Property’s covered bridge, just steps away from the reception site. 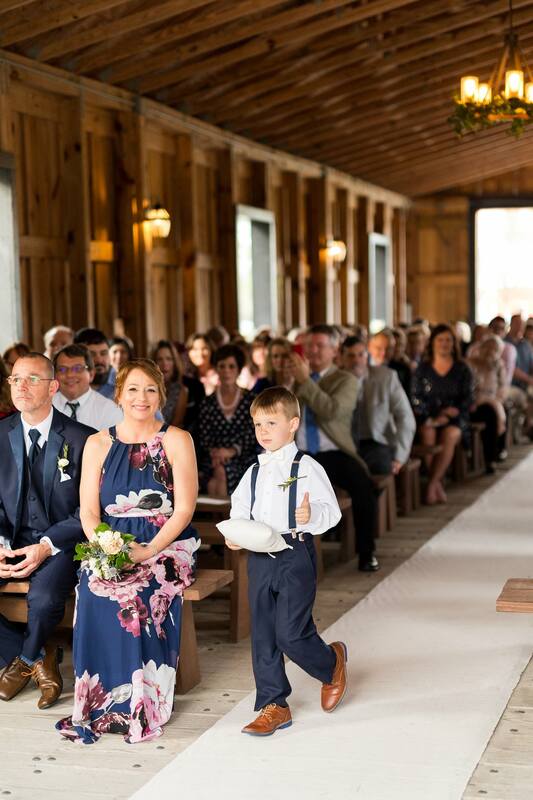 And the cutest little ring bearer gave Matt a thumb’s up when he made it down the aisle! 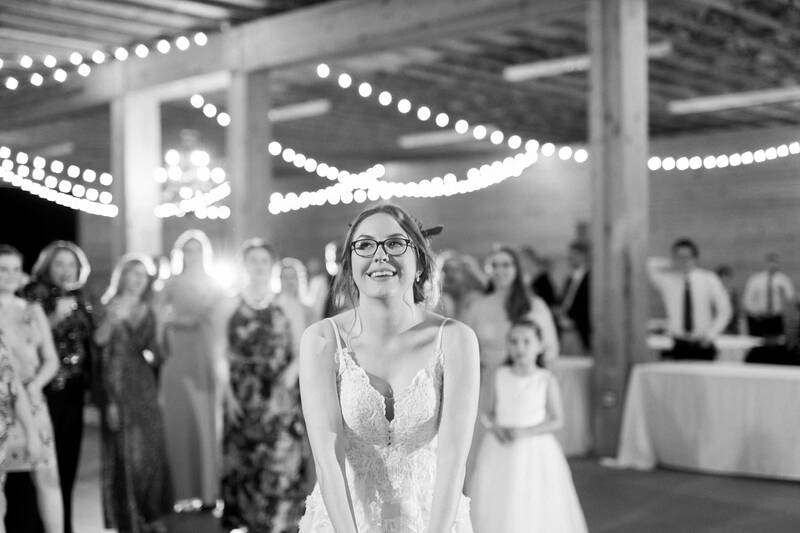 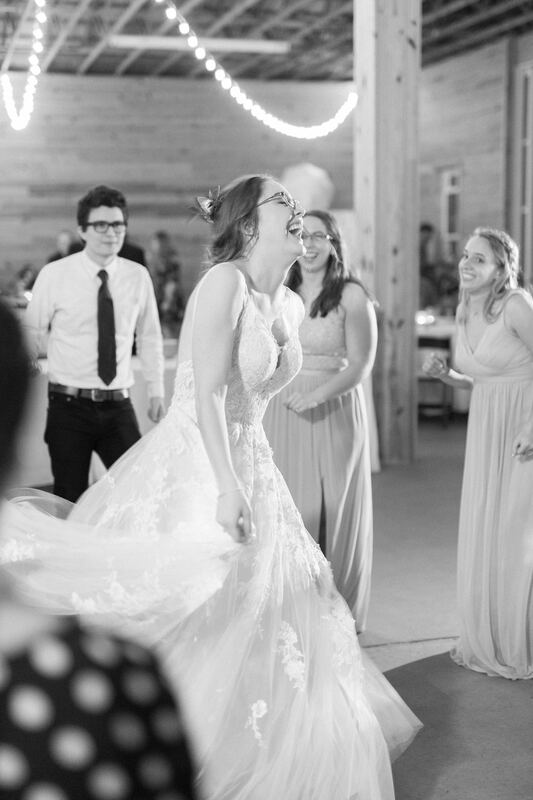 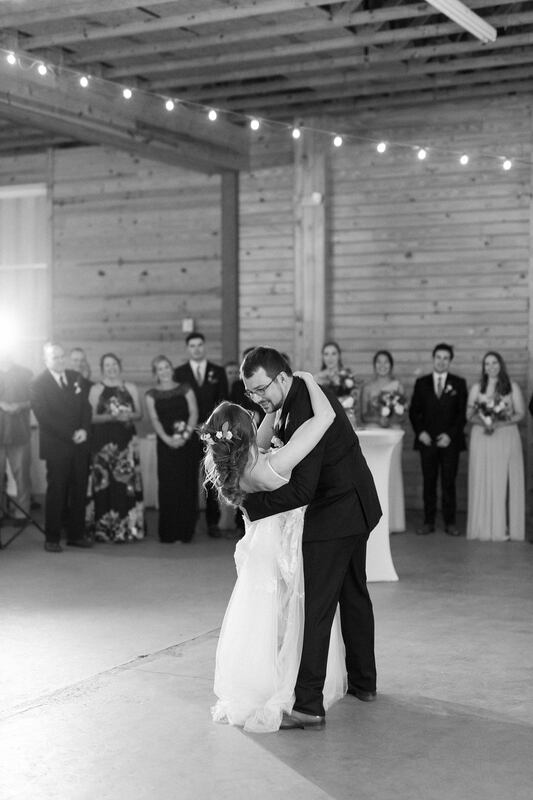 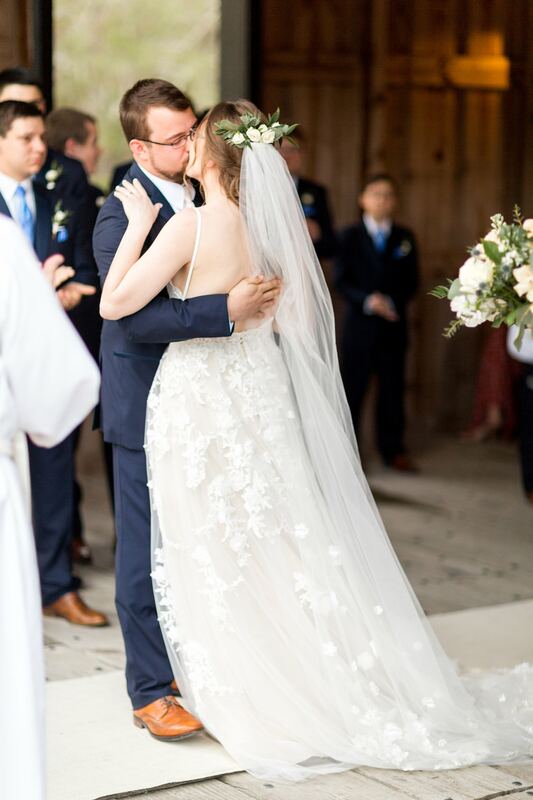 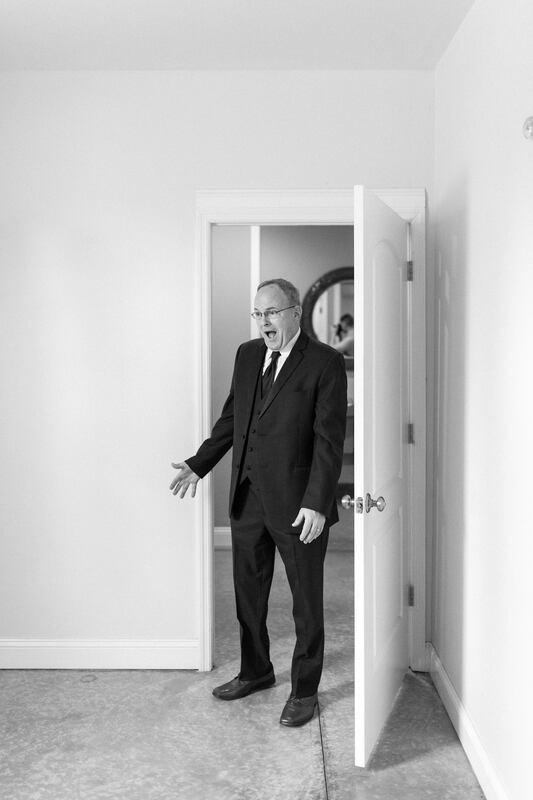 This first image is one of our favorite images from the ceremony. 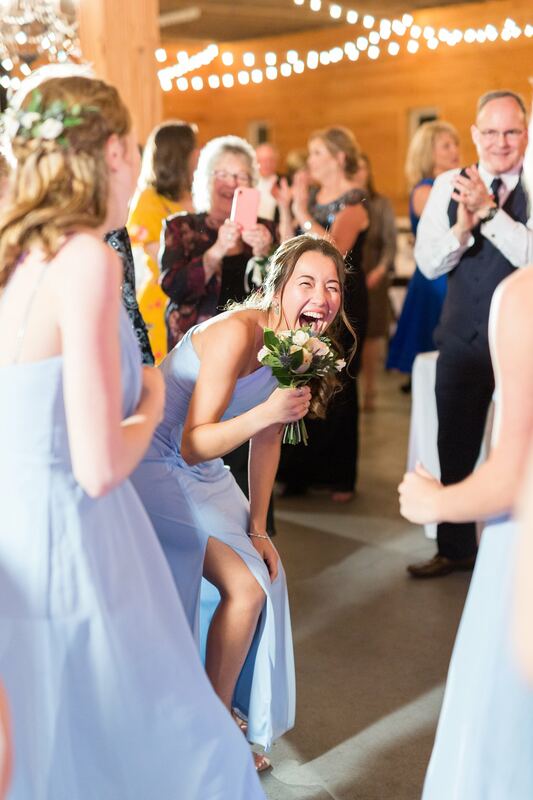 So much joy and excitement! 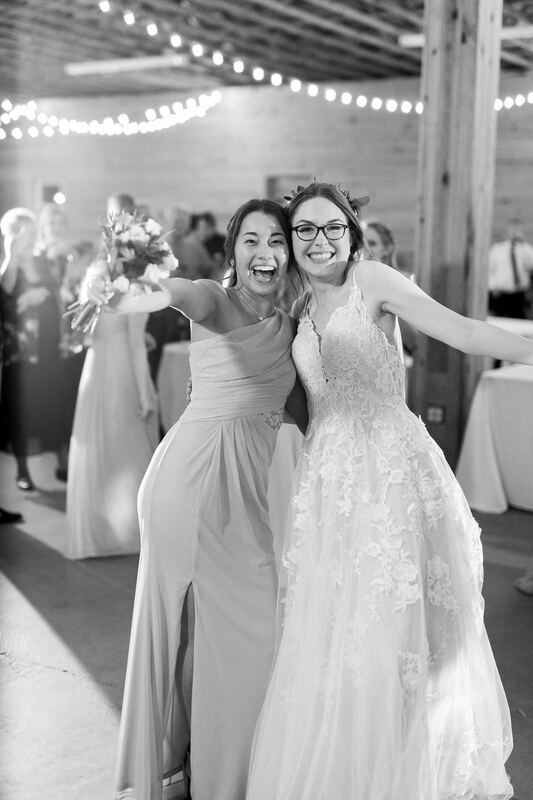 Becca, Laura’s sister and maid of honor, talked about Matt’s love of the movie Top Gun in her speech. 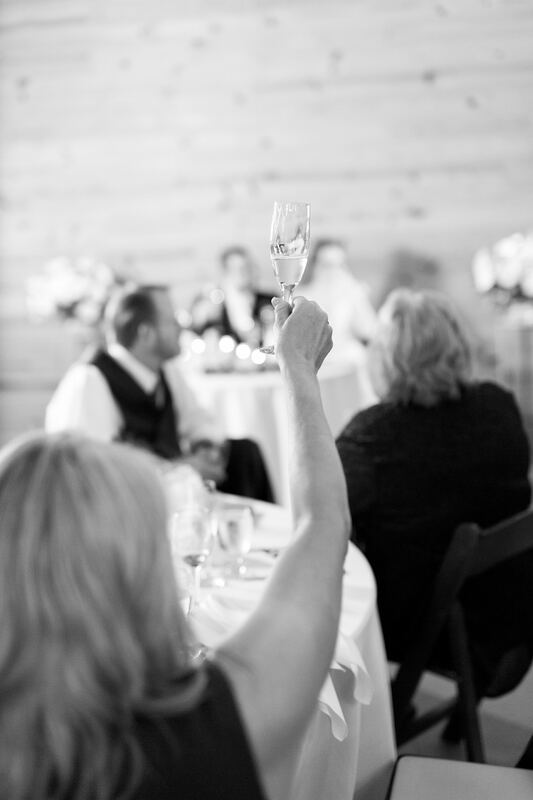 As soon as everyone raised their glasses to toast, the band turned on the soundtrack (completely unplanned!) 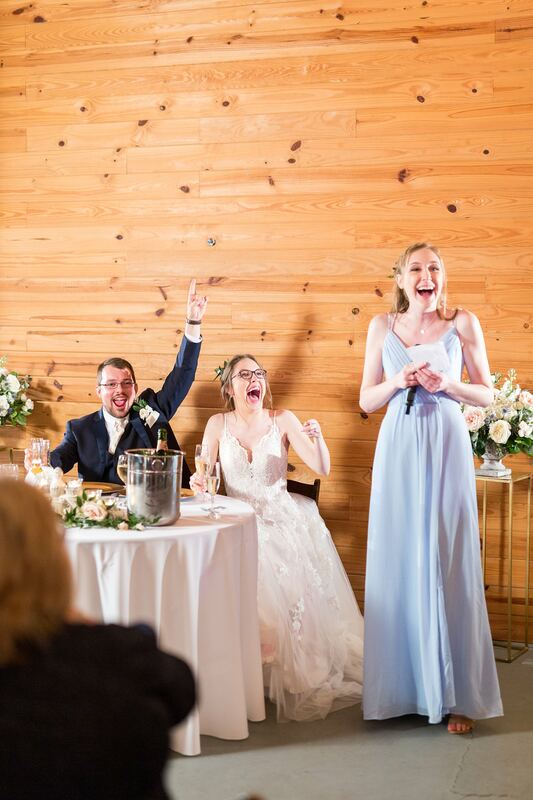 and the left photo below captures Matt + Laura’s reaction! 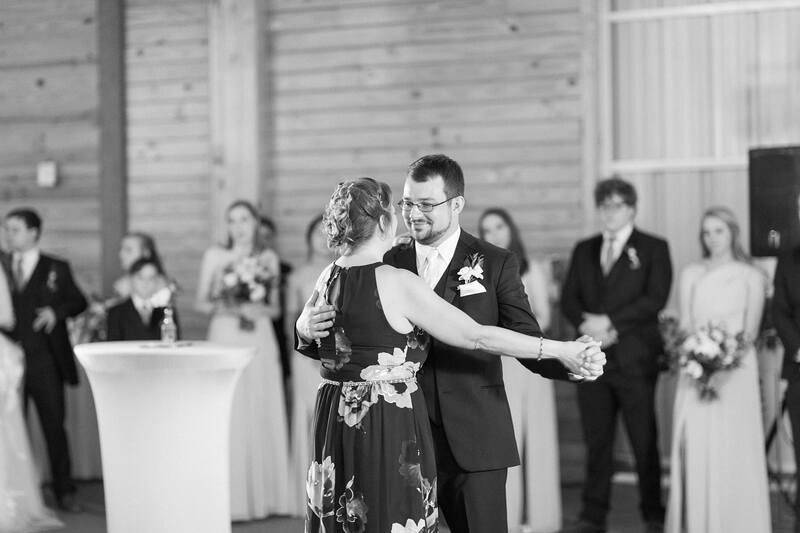 The entire room erupted with applause and cheers. 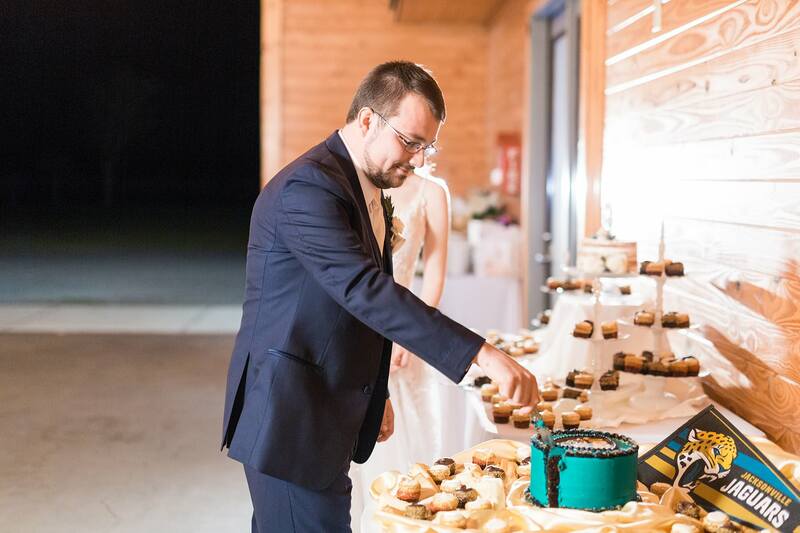 At his parents’ wedding, Matt’s dad cut his groom’s cake with his pocket knife. 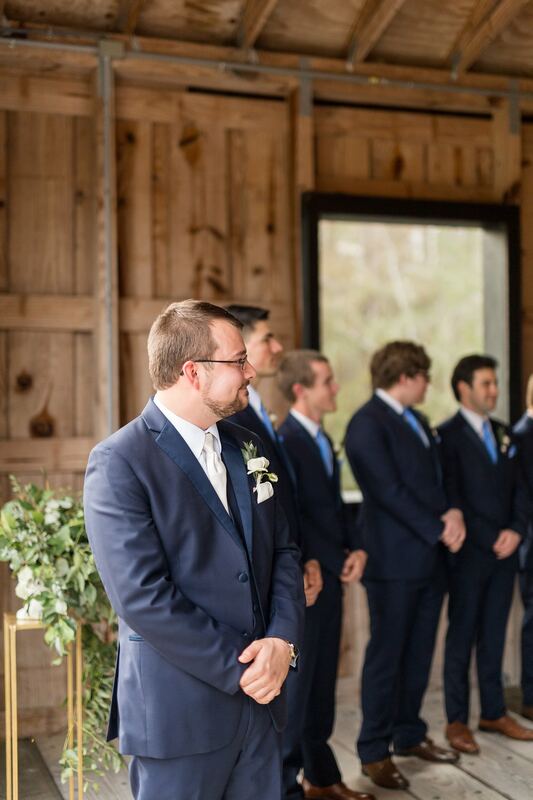 Matt surprised him by carrying on the tradition! 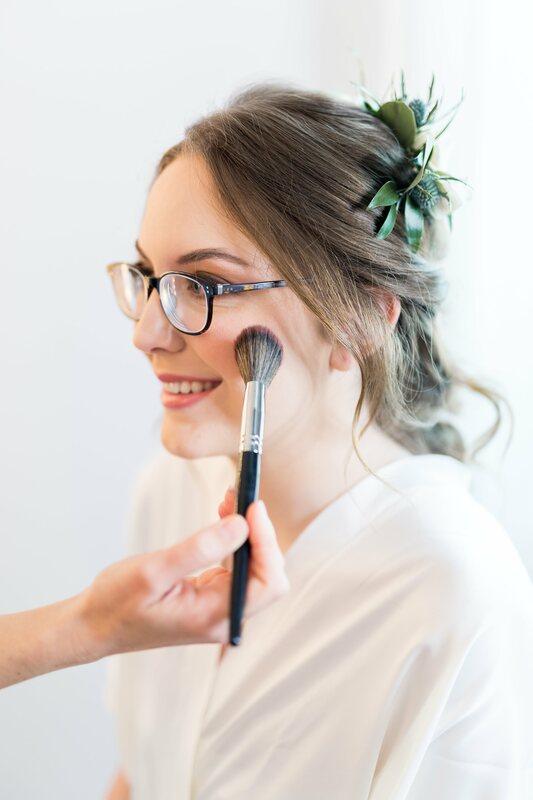 Hair + Makeup: JRowe Co.